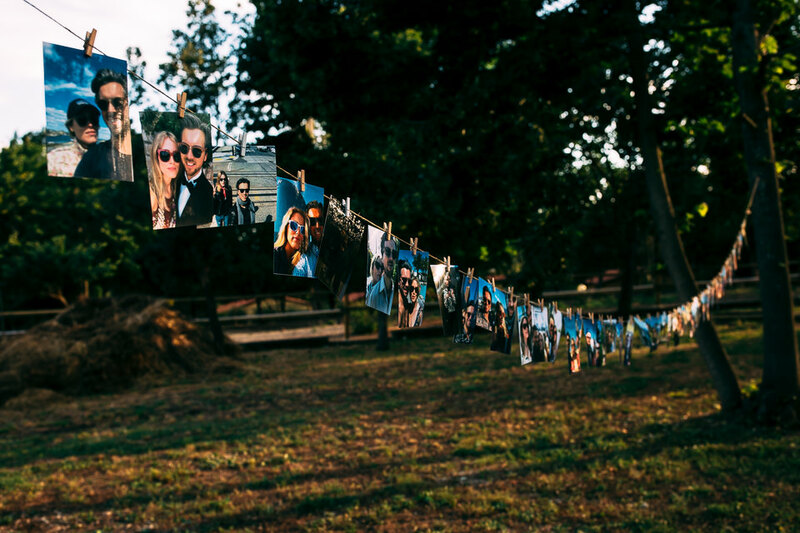 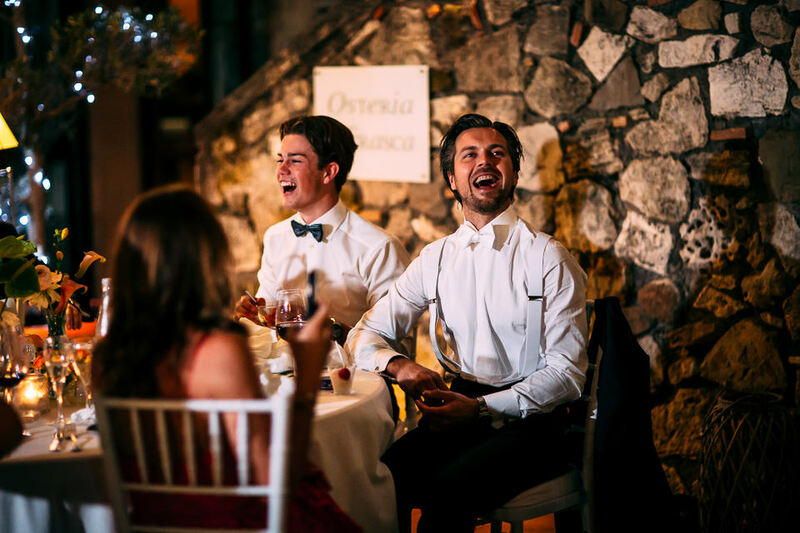 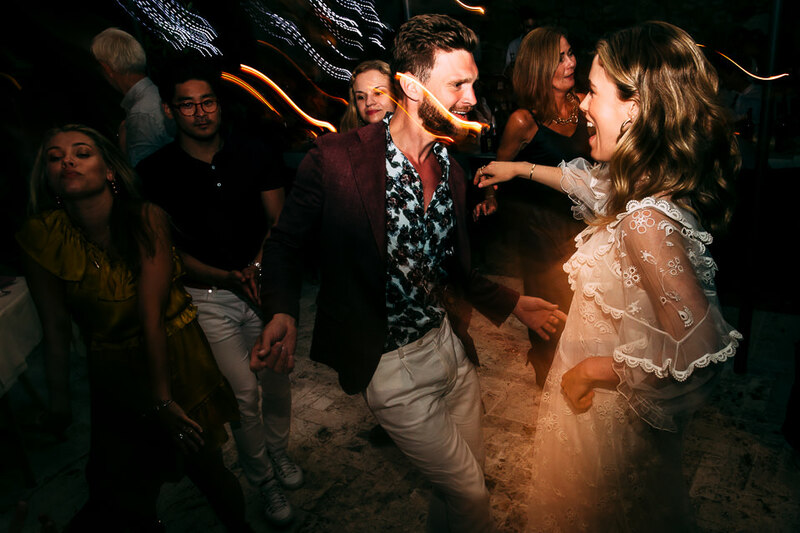 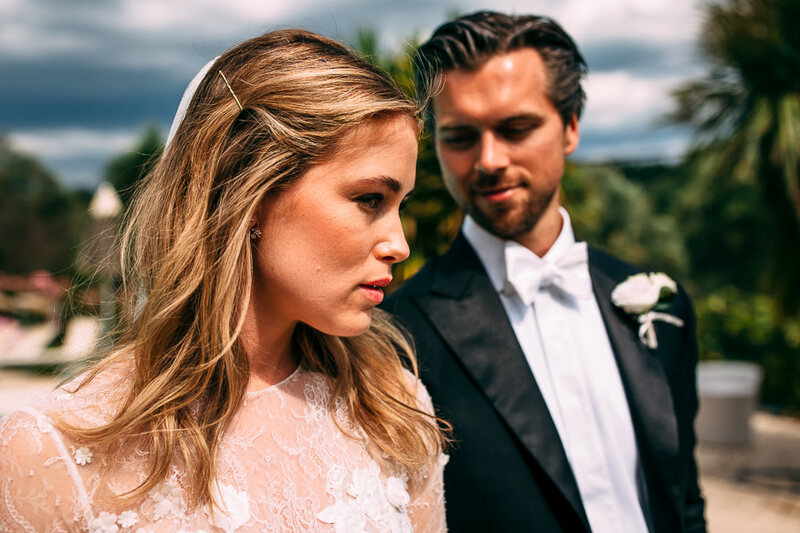 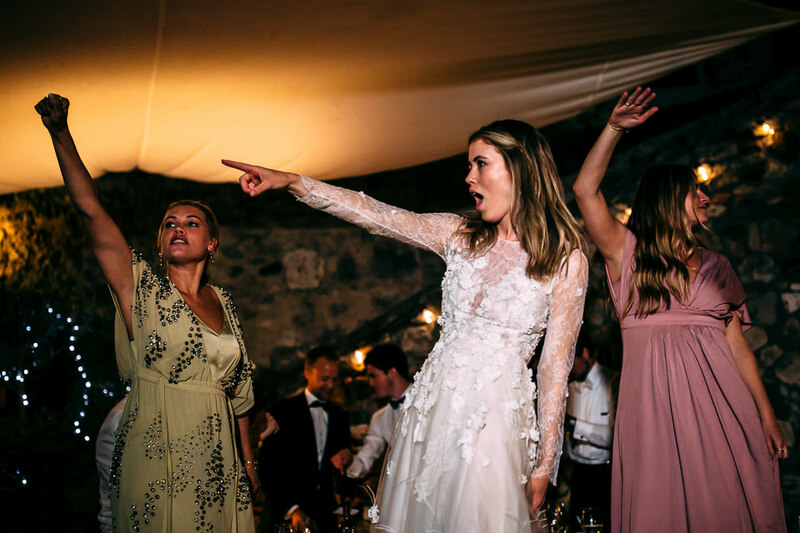 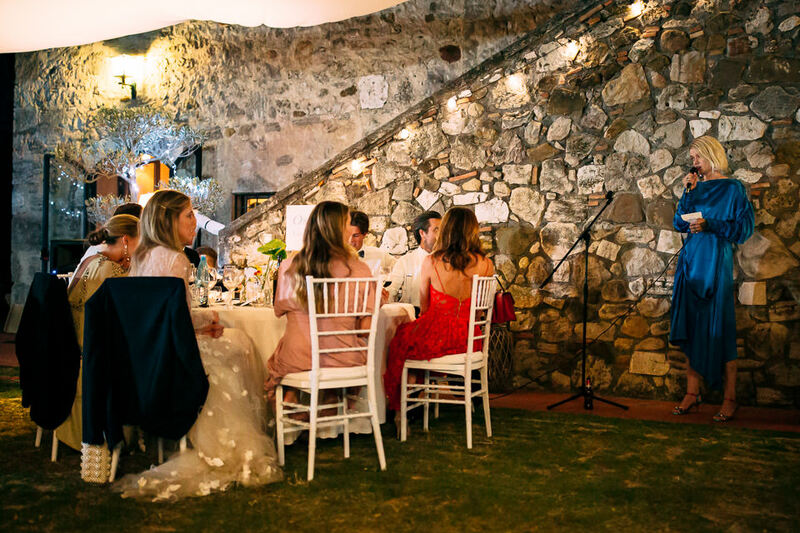 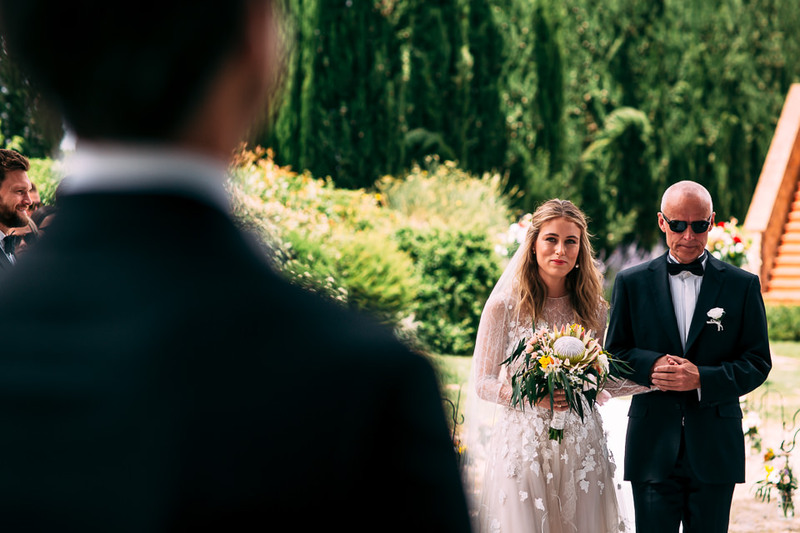 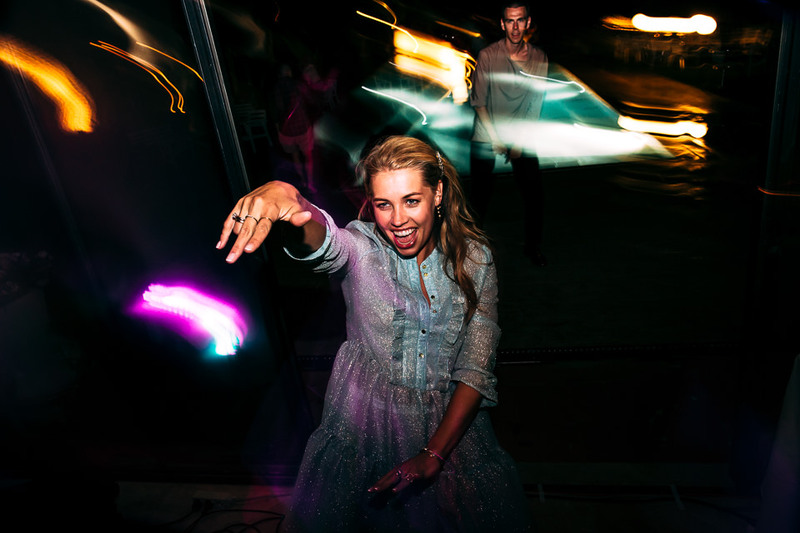 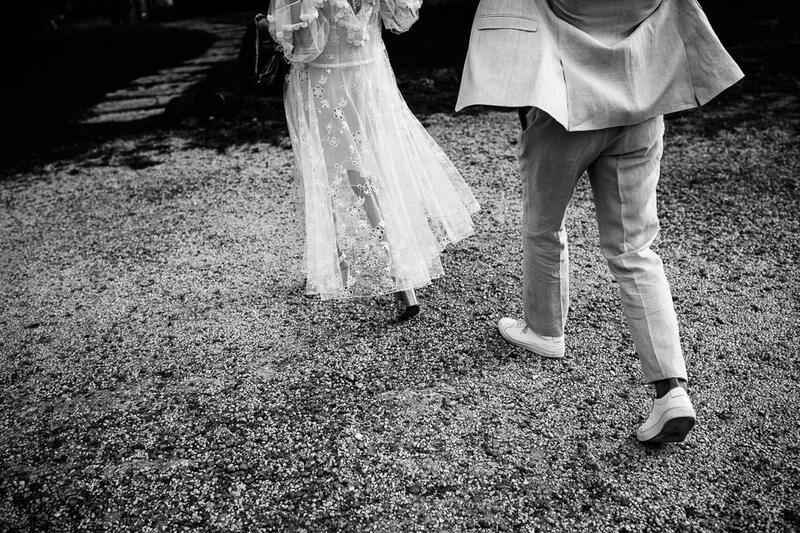 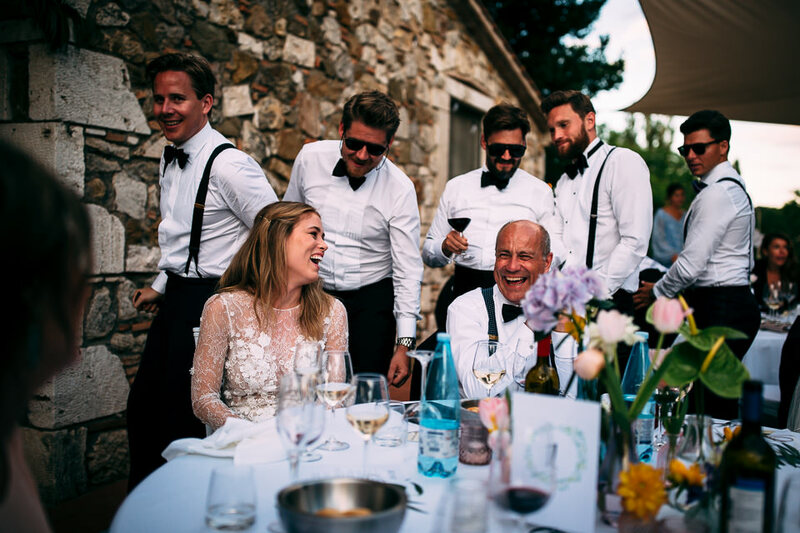 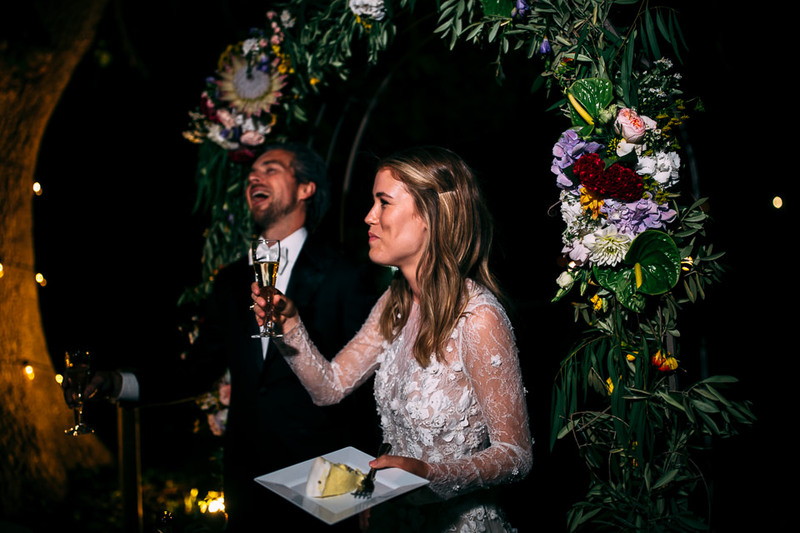 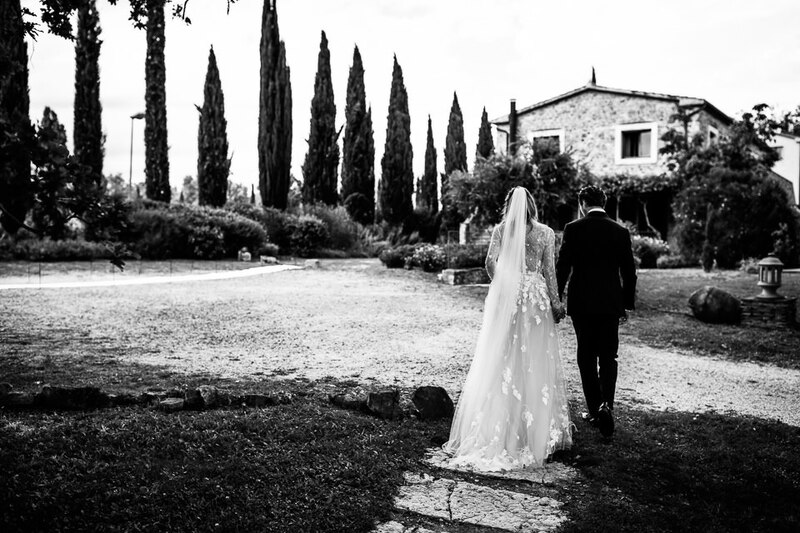 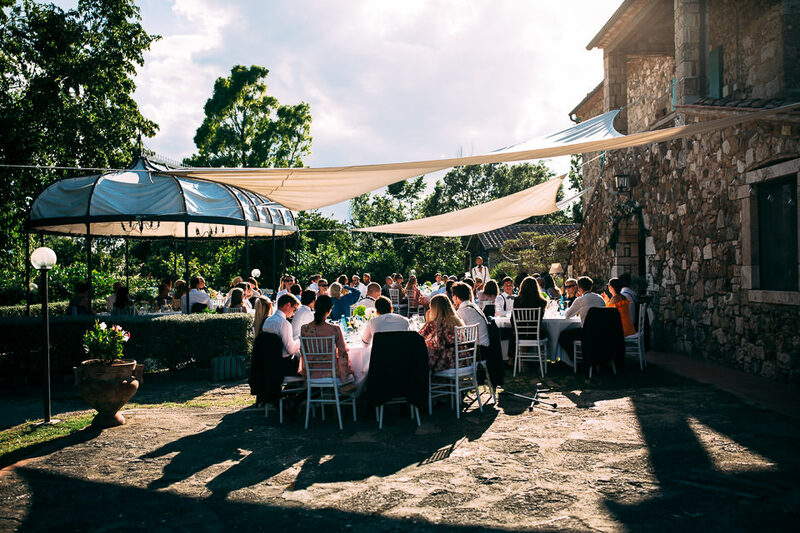 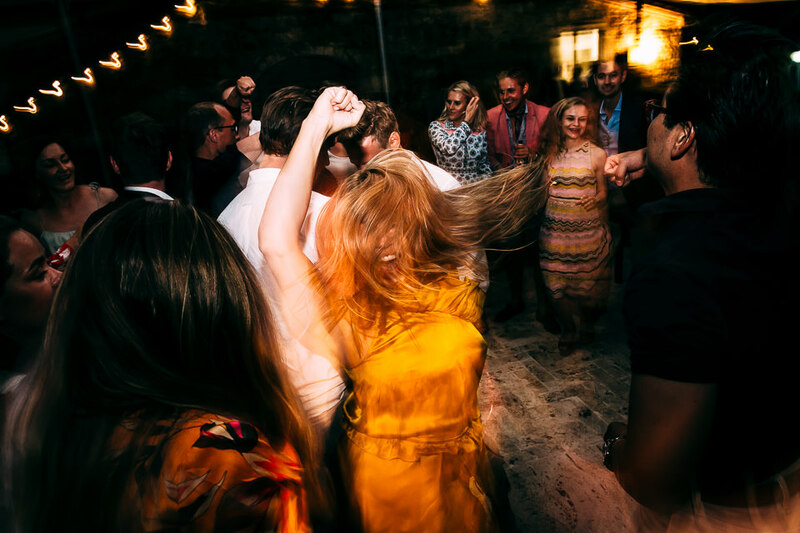 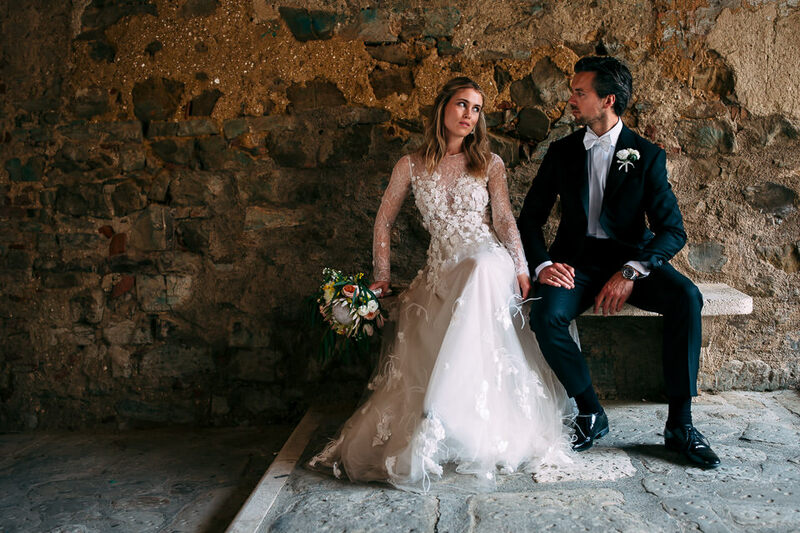 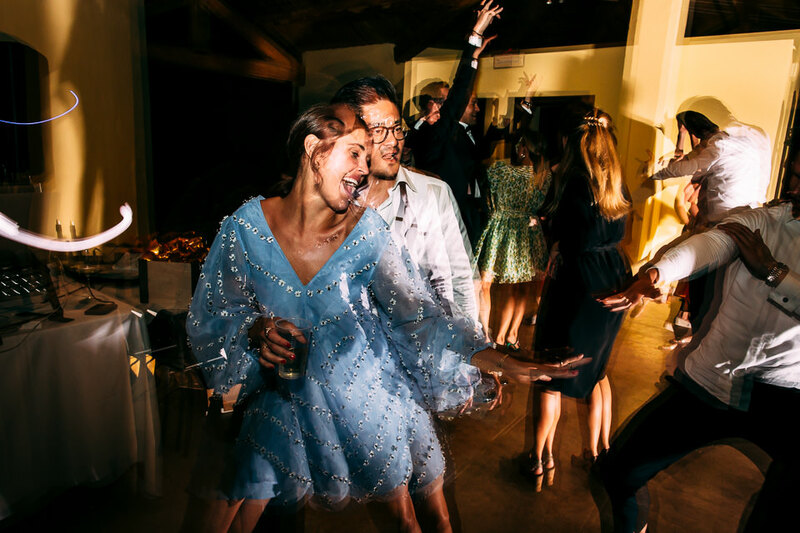 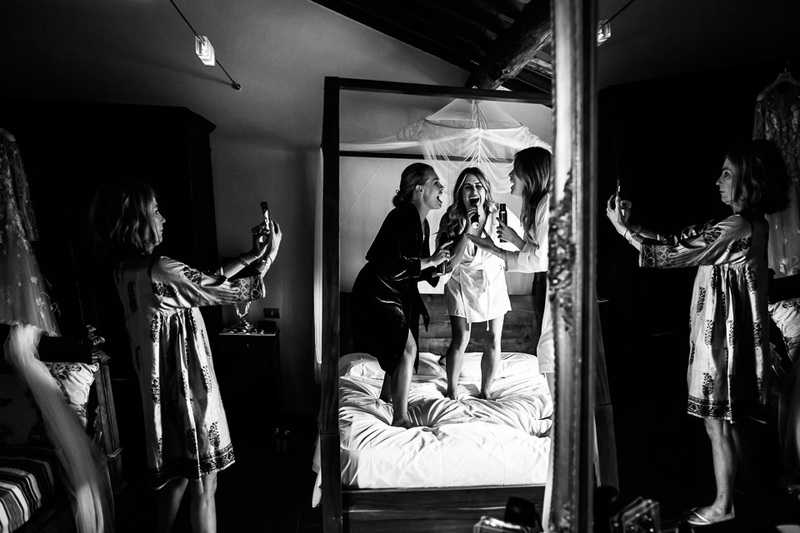 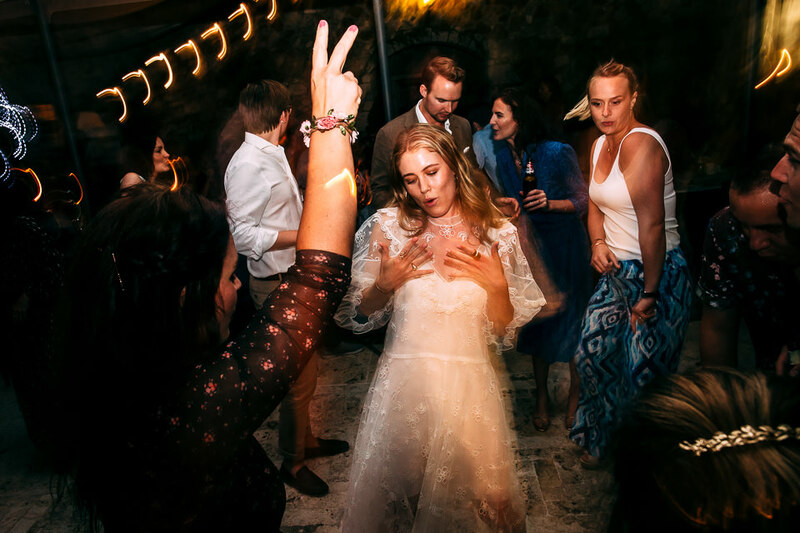 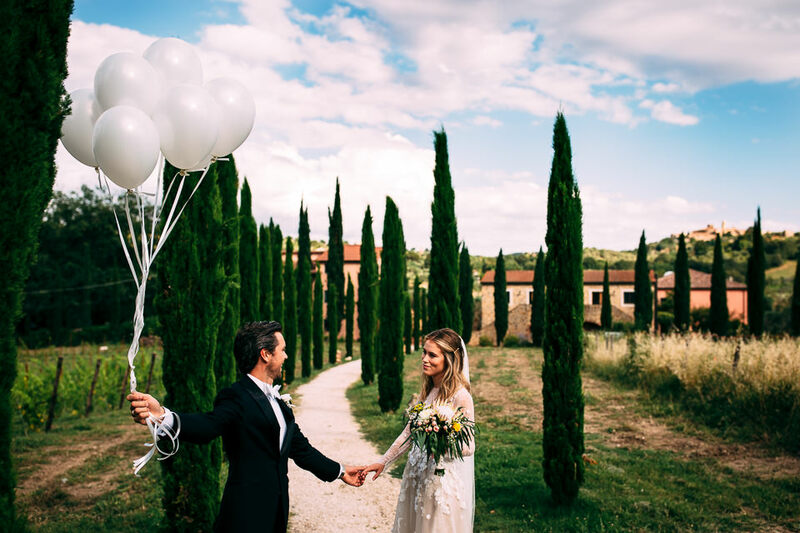 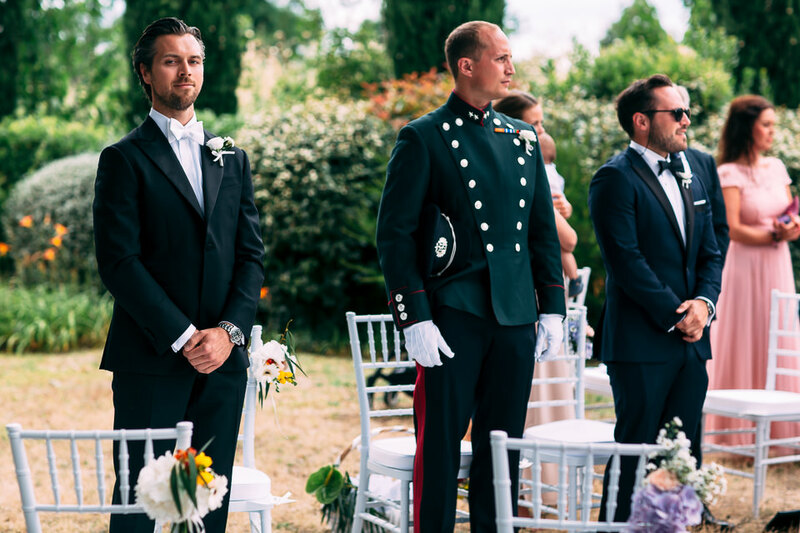 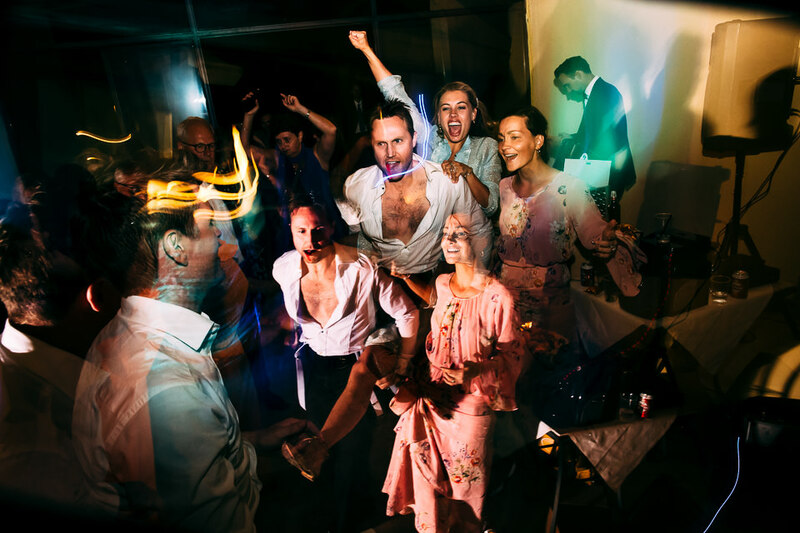 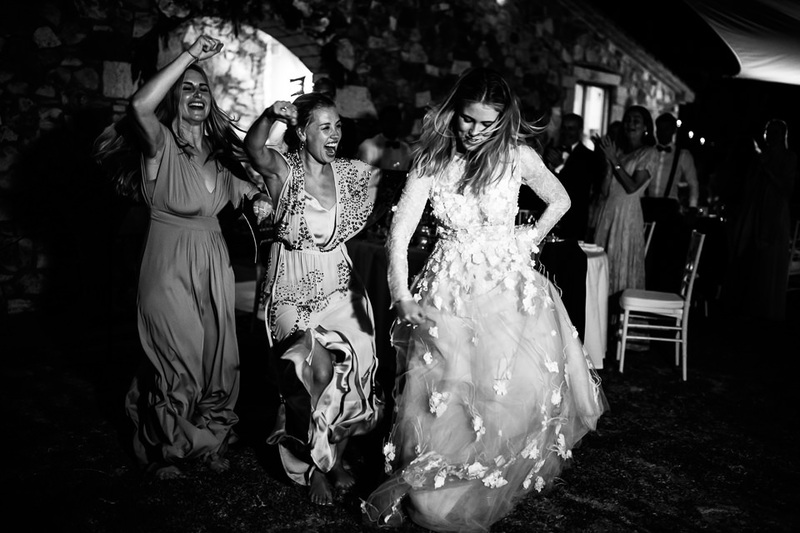 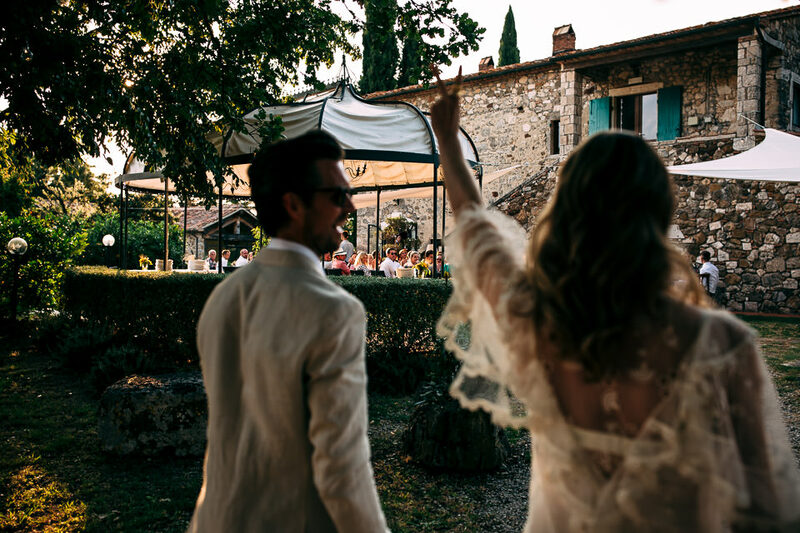 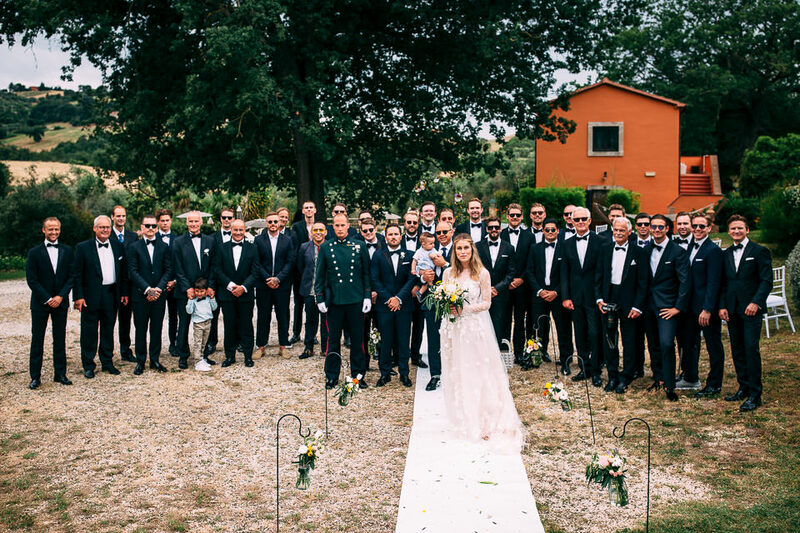 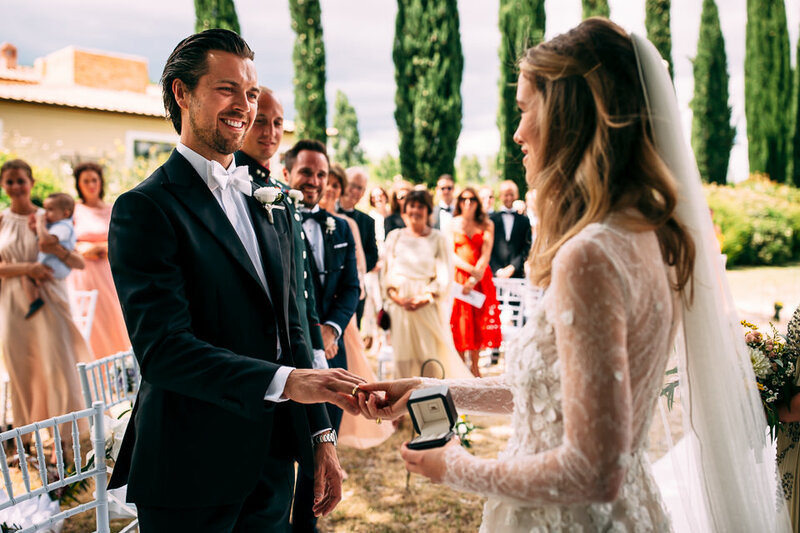 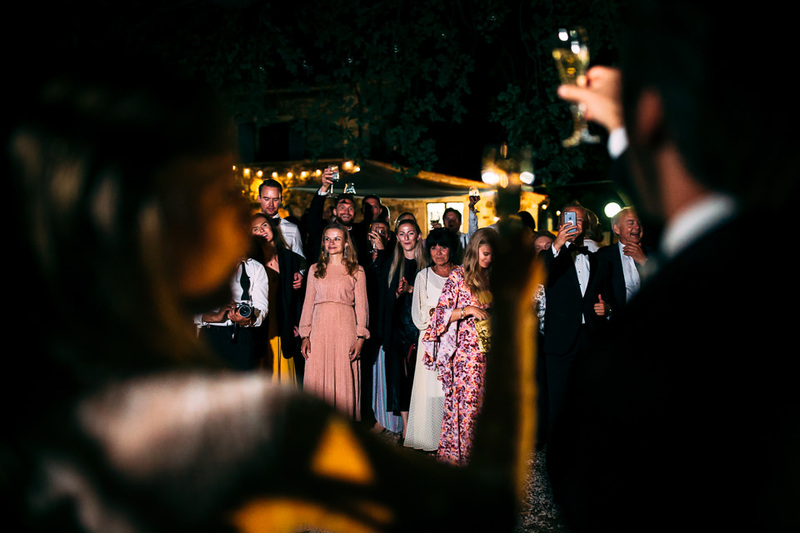 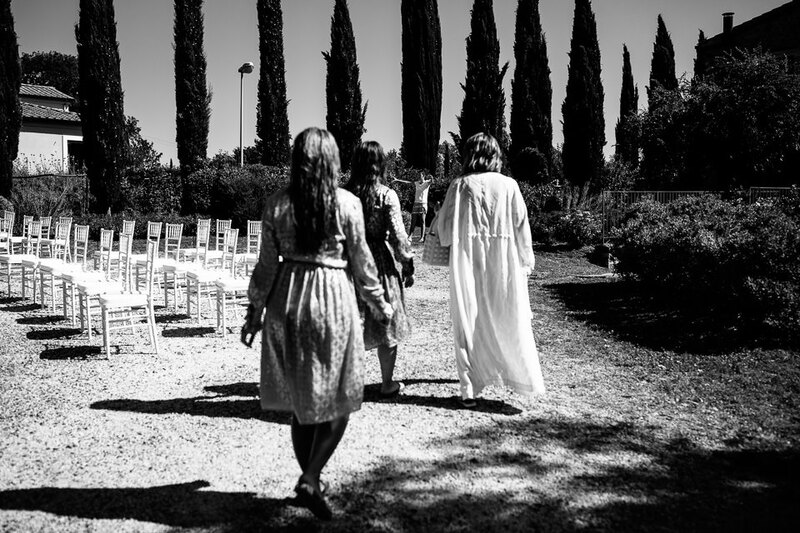 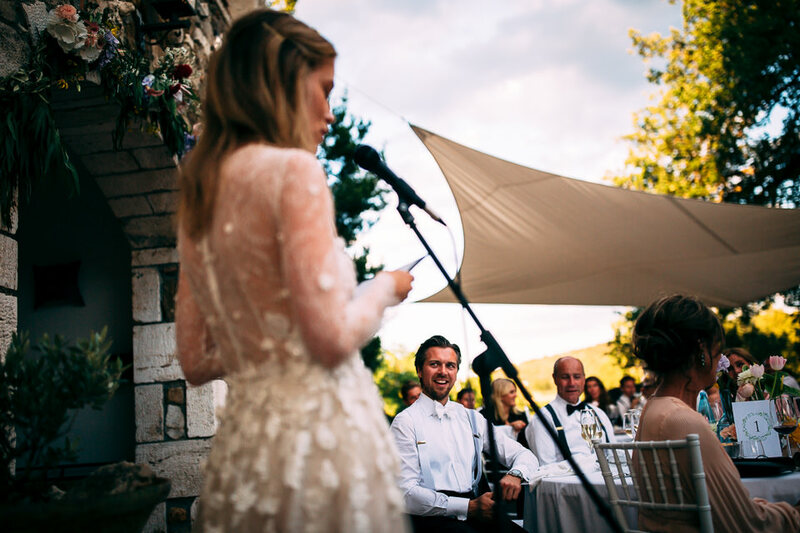 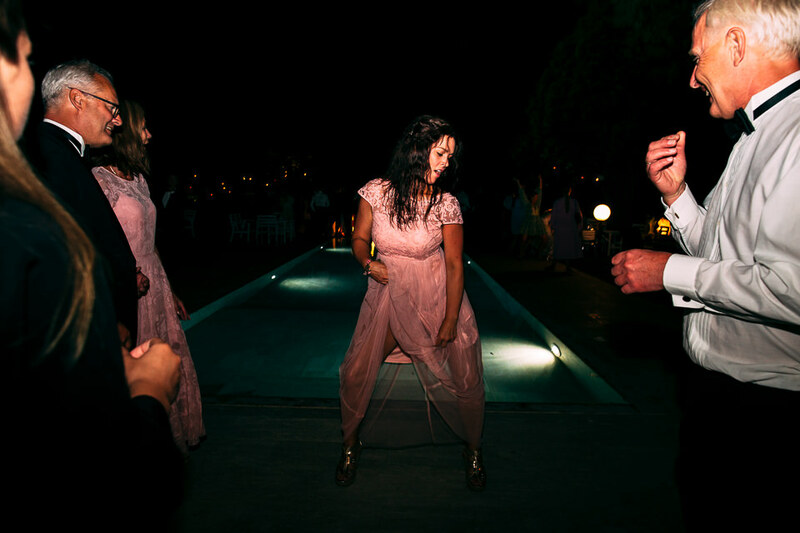 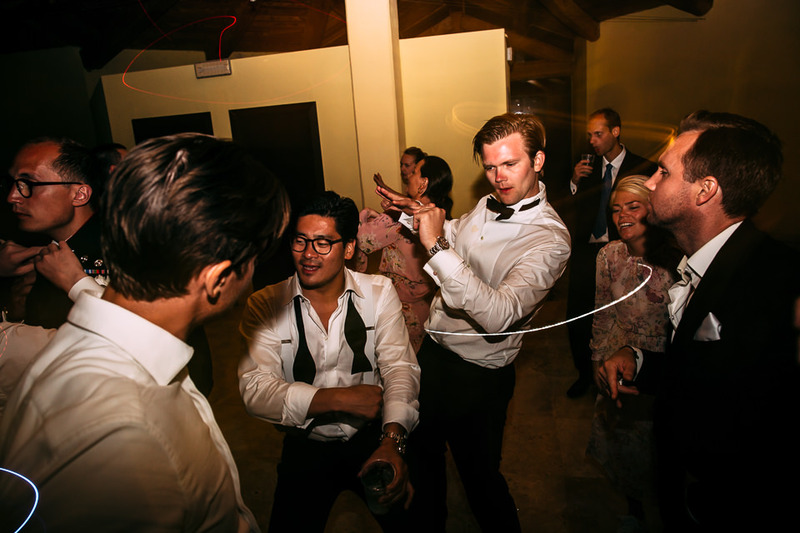 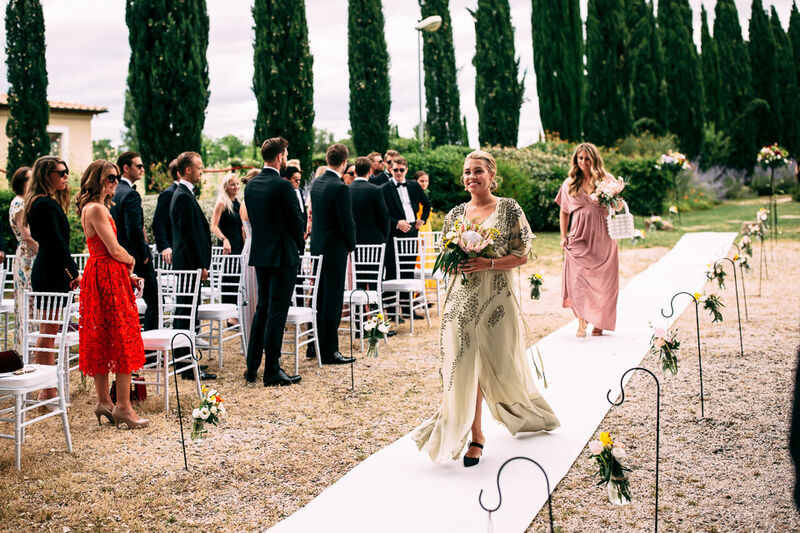 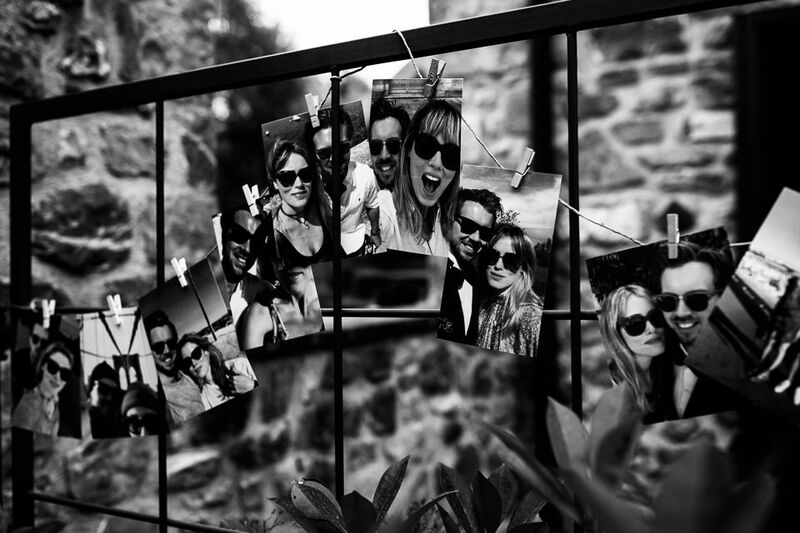 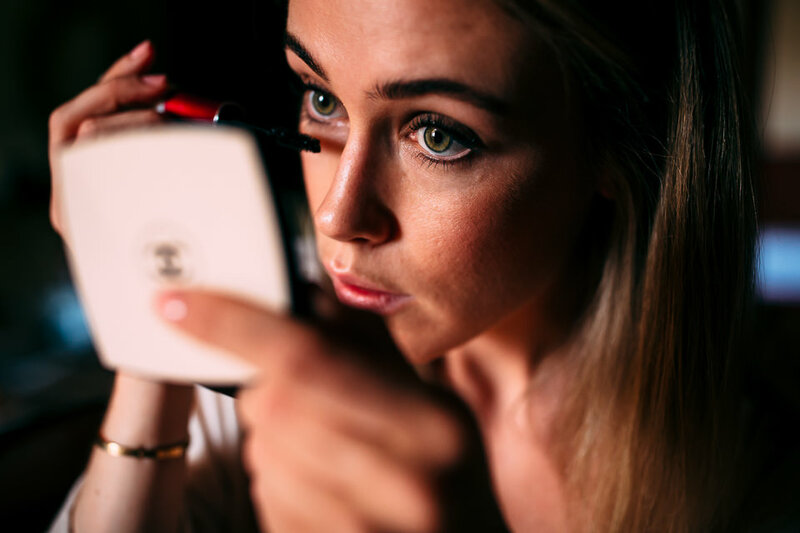 ANNABEL AND PETTER’S WEDDING IN TUSCANY, AT RELAIS CIAVATTA, A GLAMOROUS LOVE STORY. 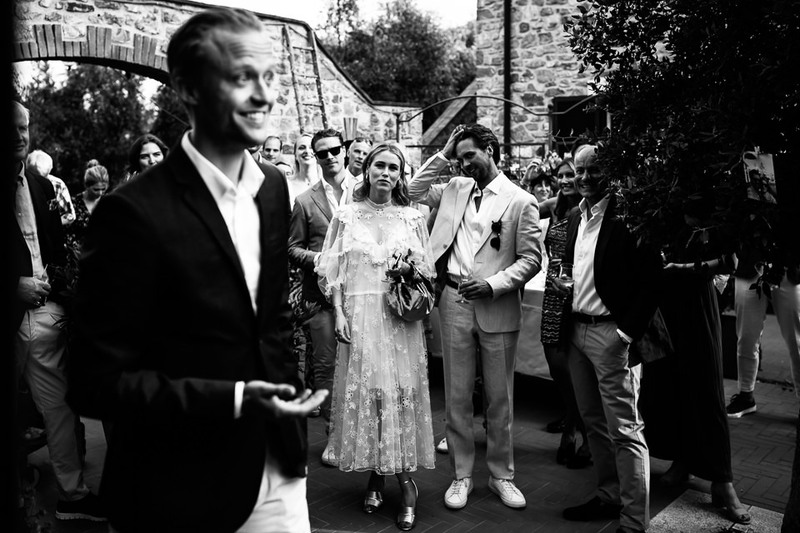 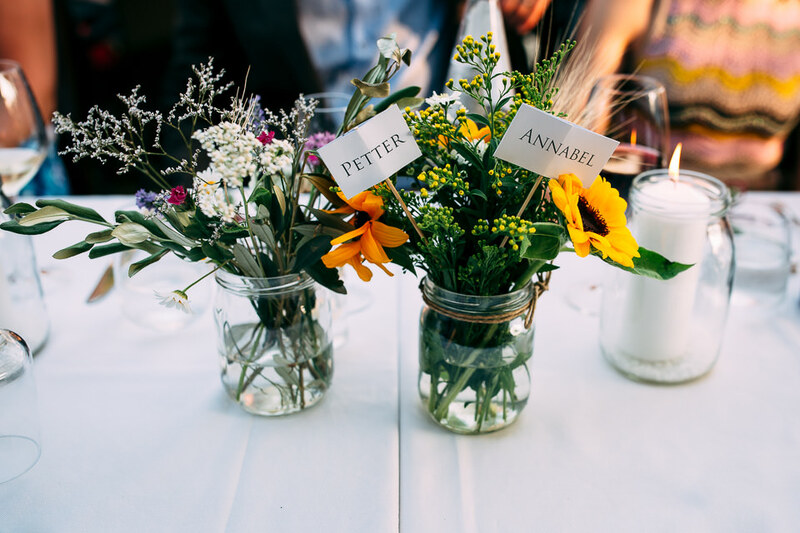 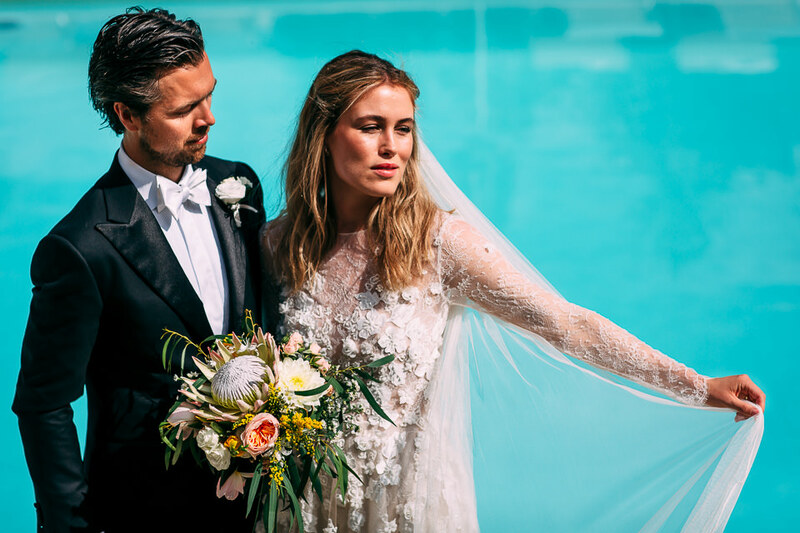 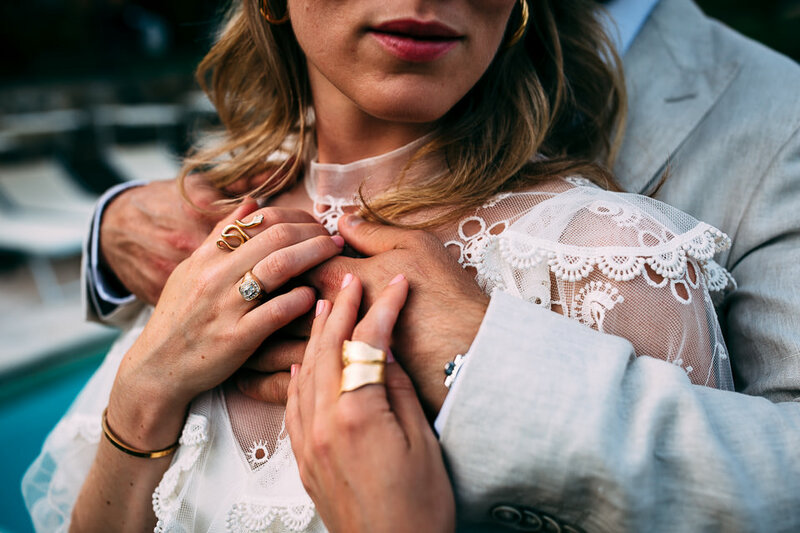 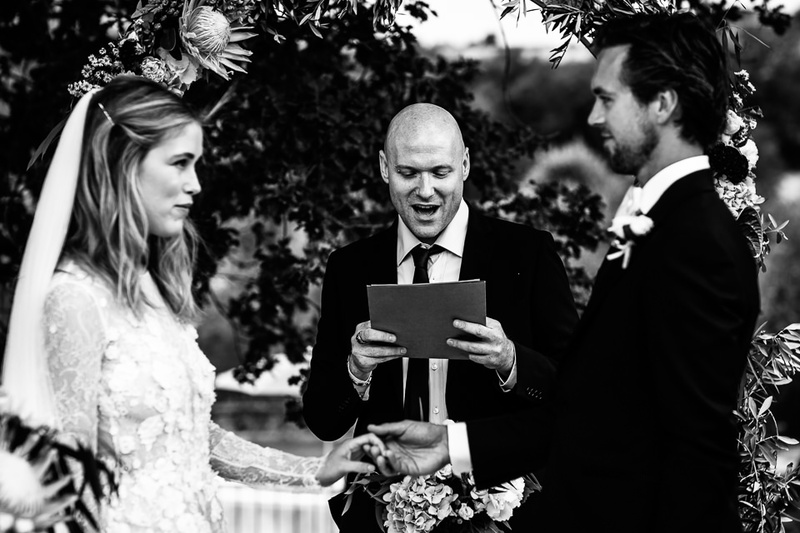 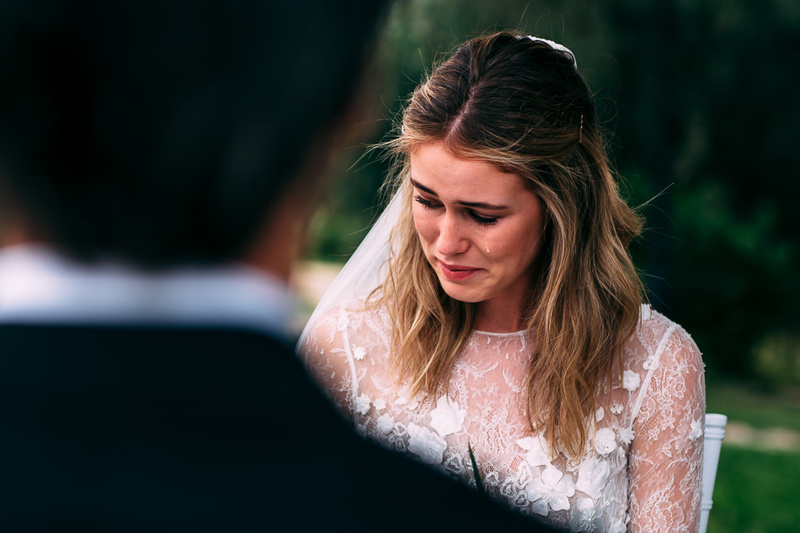 Let us tell you the story of Annabel and Petter wedding, who had already been together for ten years and still in love like the first day, and now, finally, husband and wife. 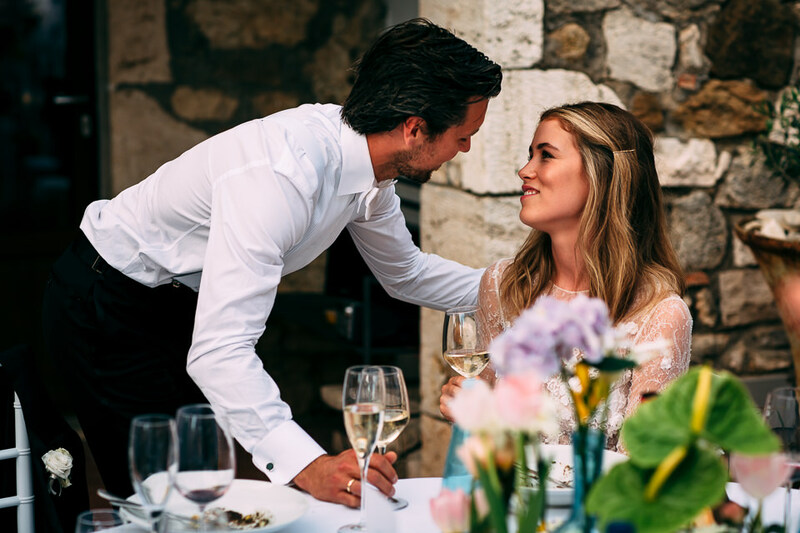 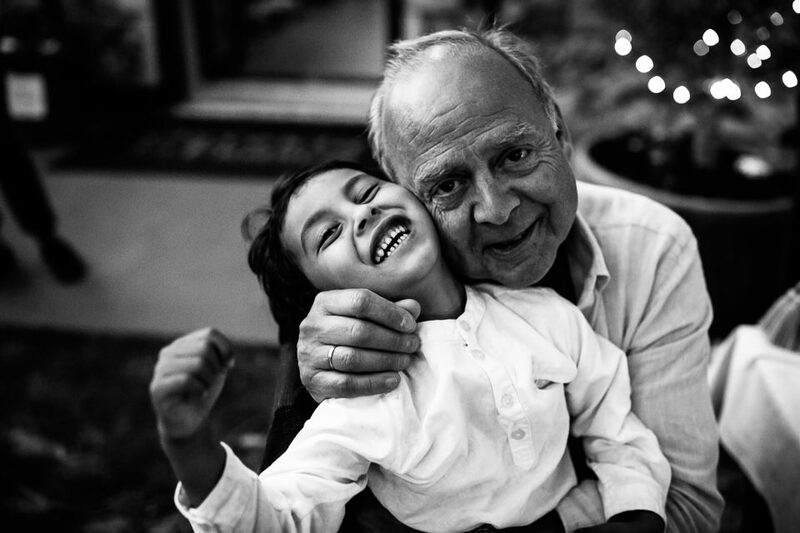 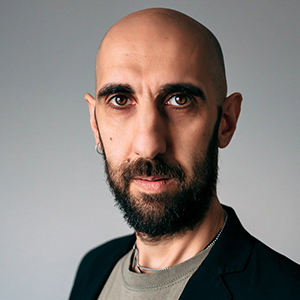 It all started in Paris, a few months earlier, when Petter proposed with a ring he designed himself. 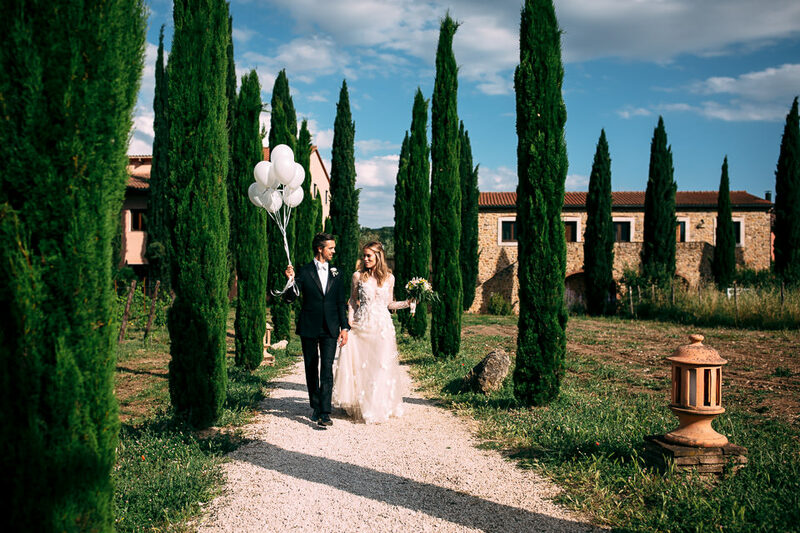 They soon organized everything, with the help of My Taste of Tuscany wedding planners agency. 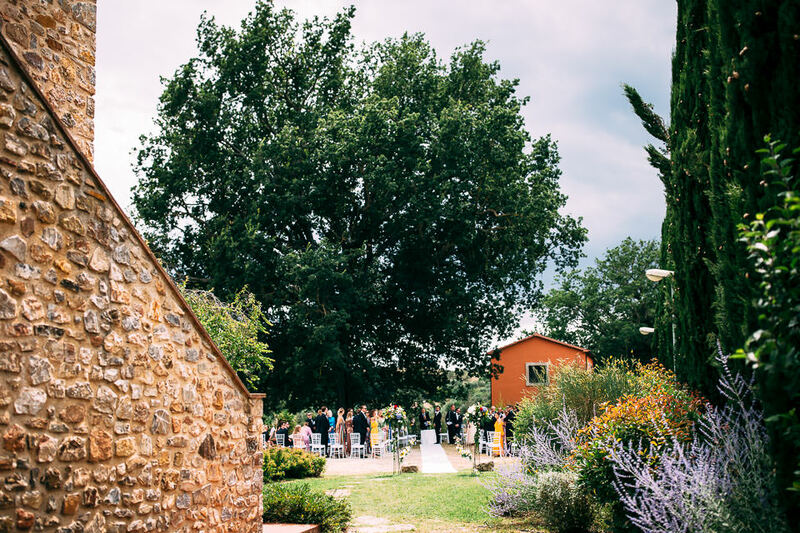 And finally they chose Relais Ciavatta for the ceremony and the reception. 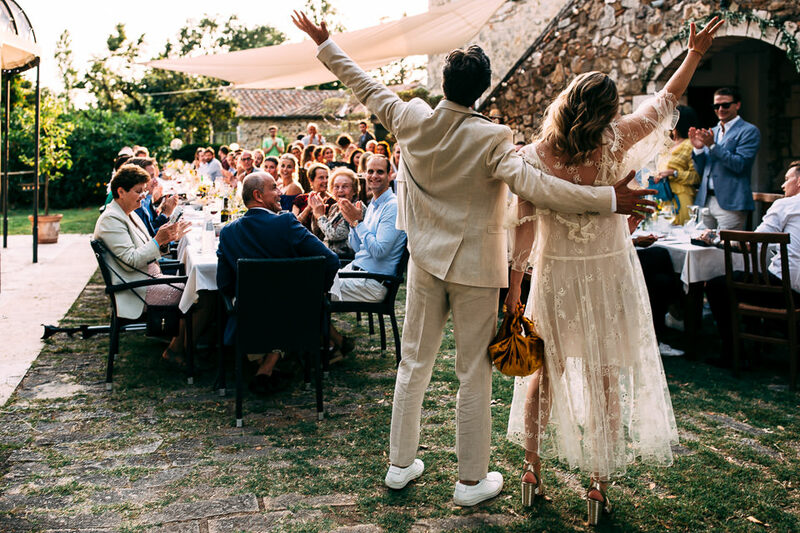 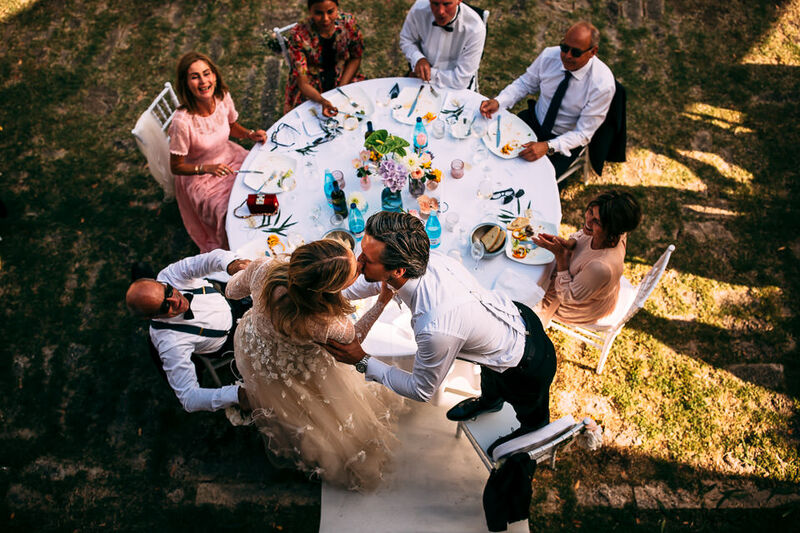 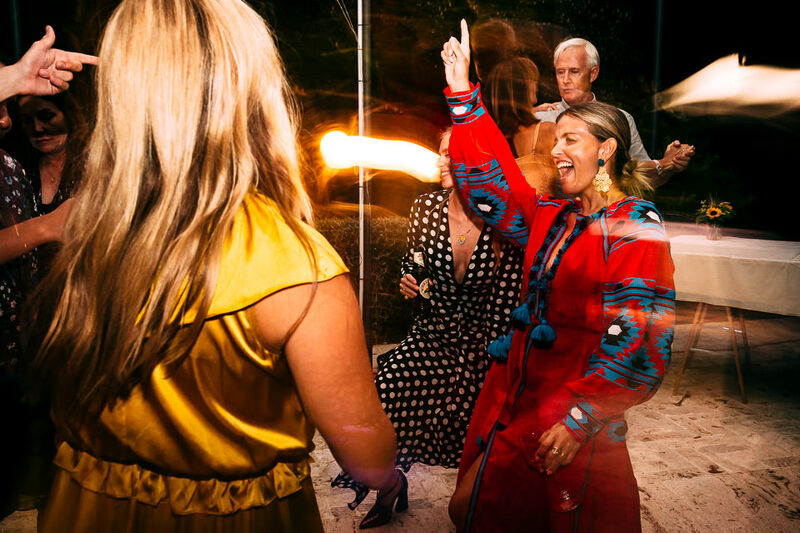 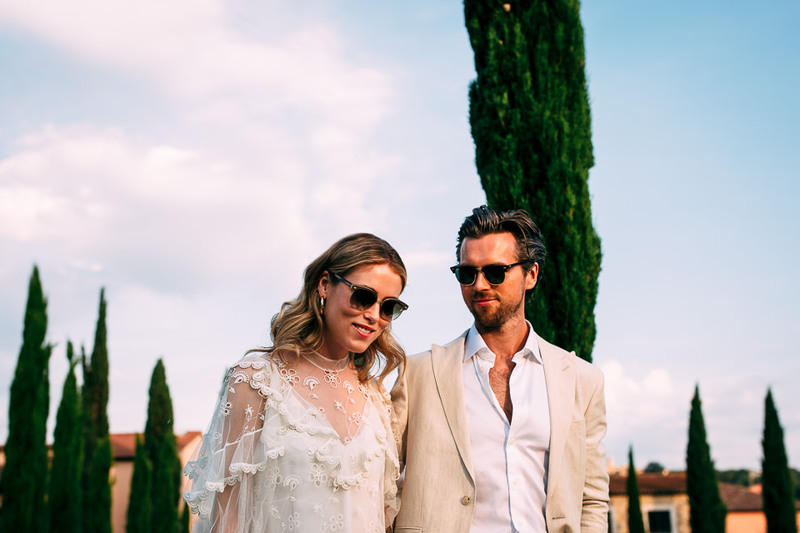 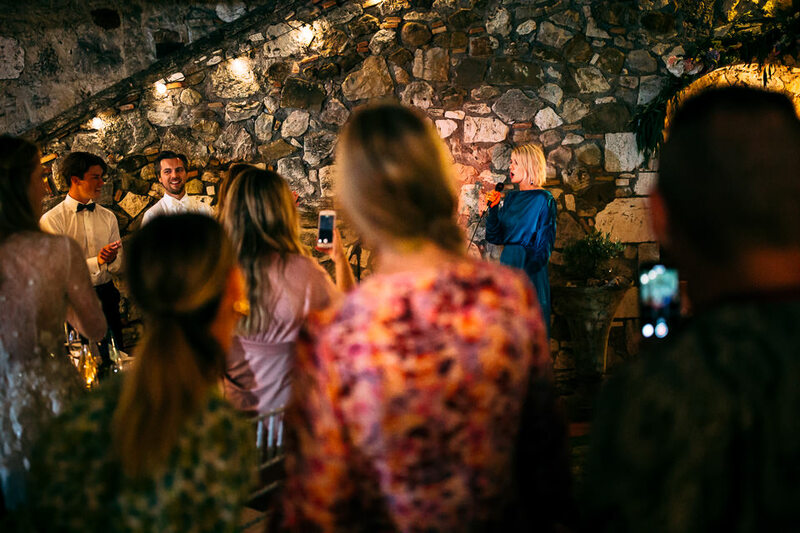 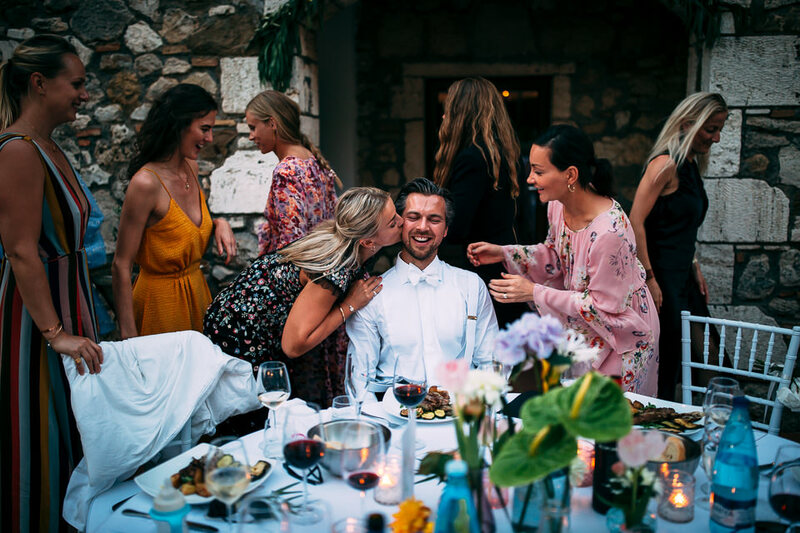 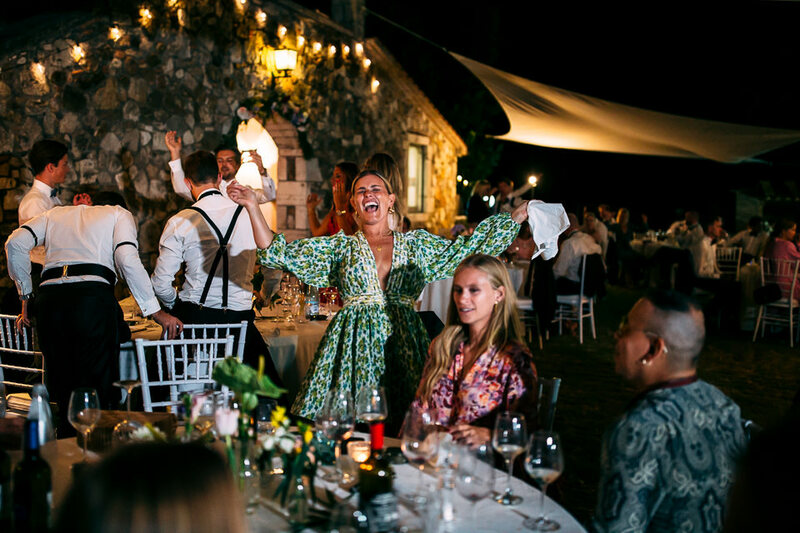 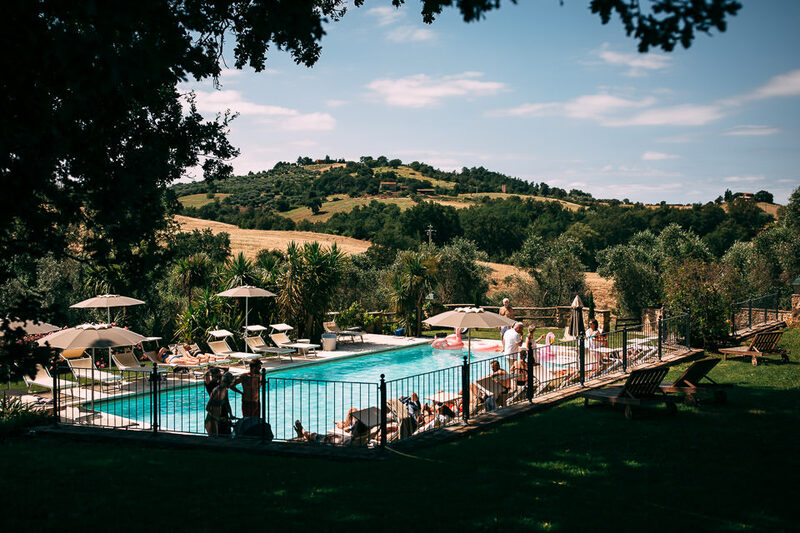 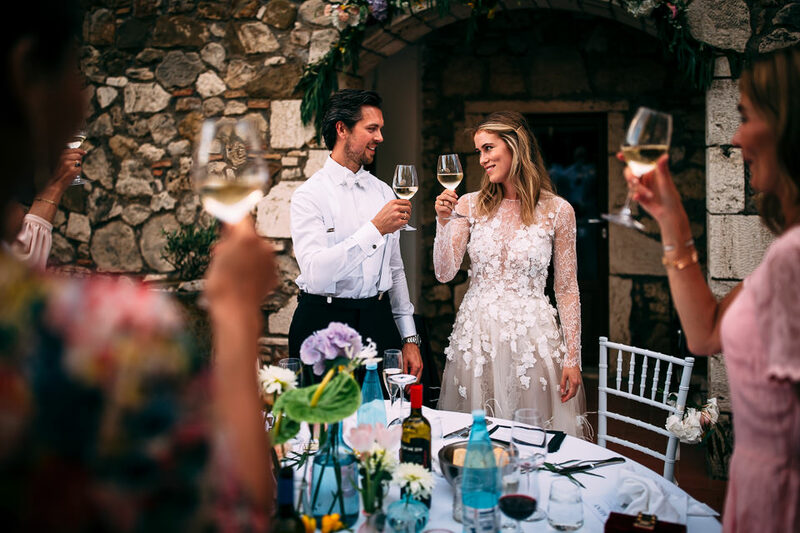 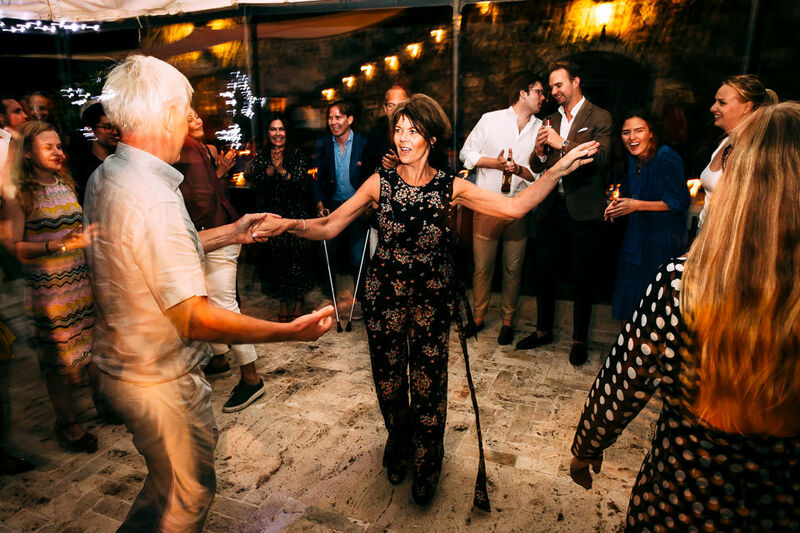 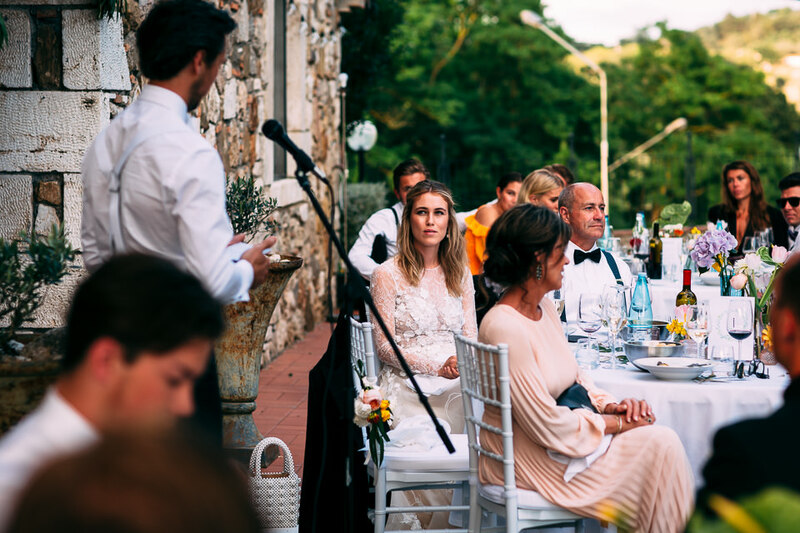 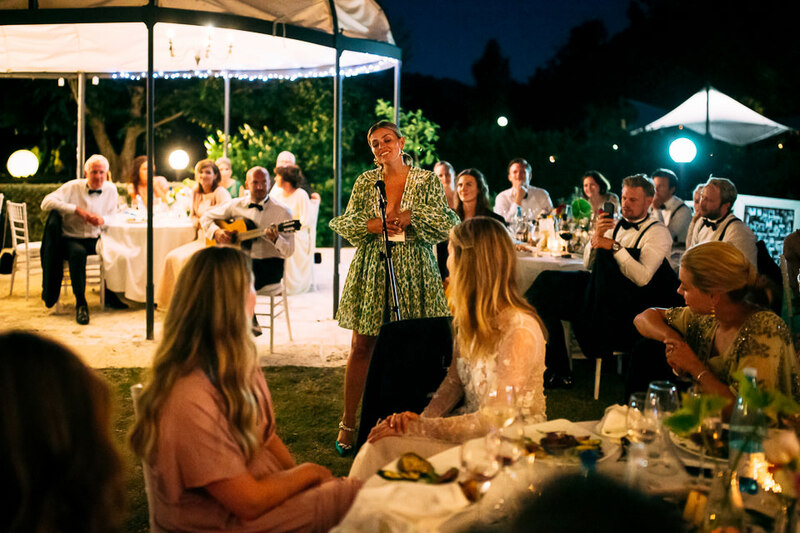 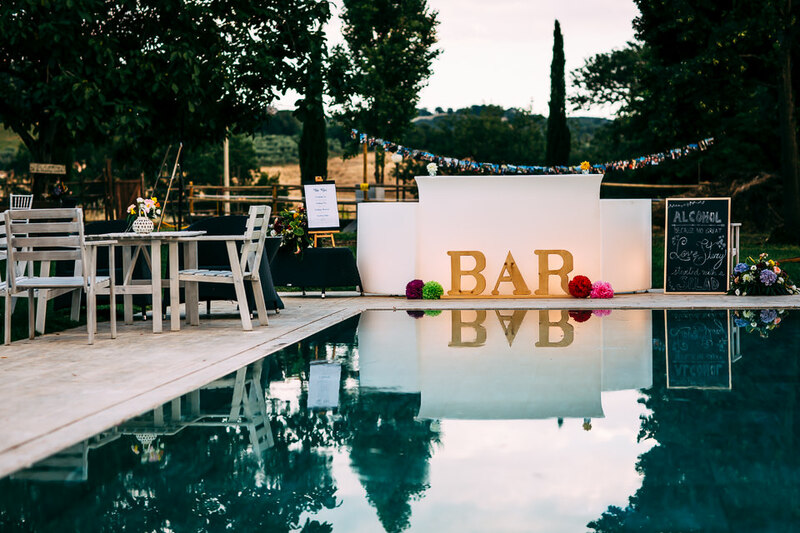 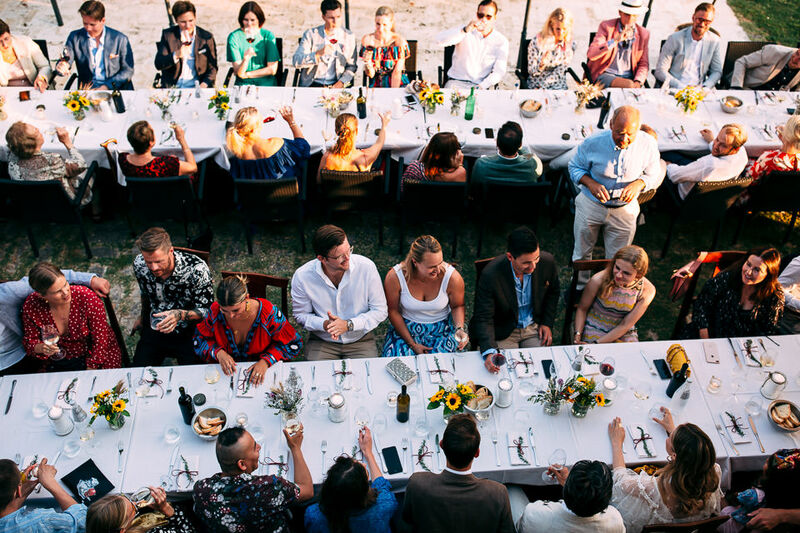 A magical location in the maremma, a swampy coastal area of Tuscany, where Annabel, Petter and their families spent a whole week before the other some 80 guests joined them for an unforgettable weekend full of emotions and memories. 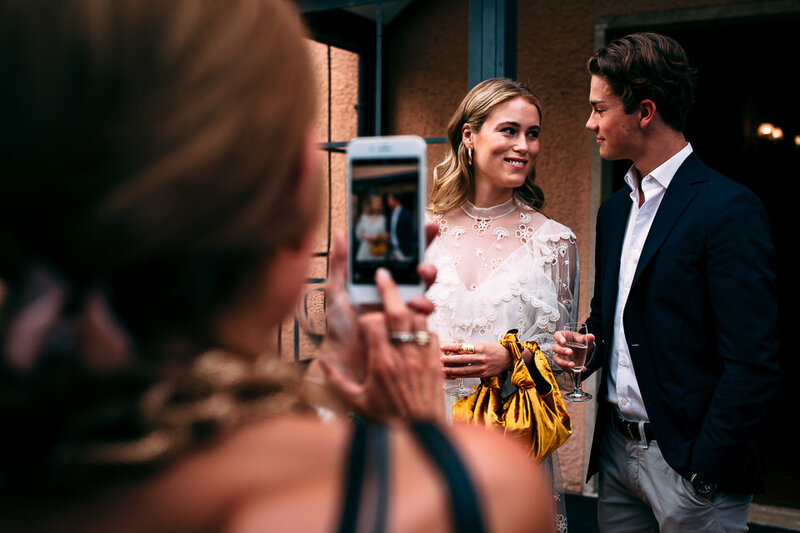 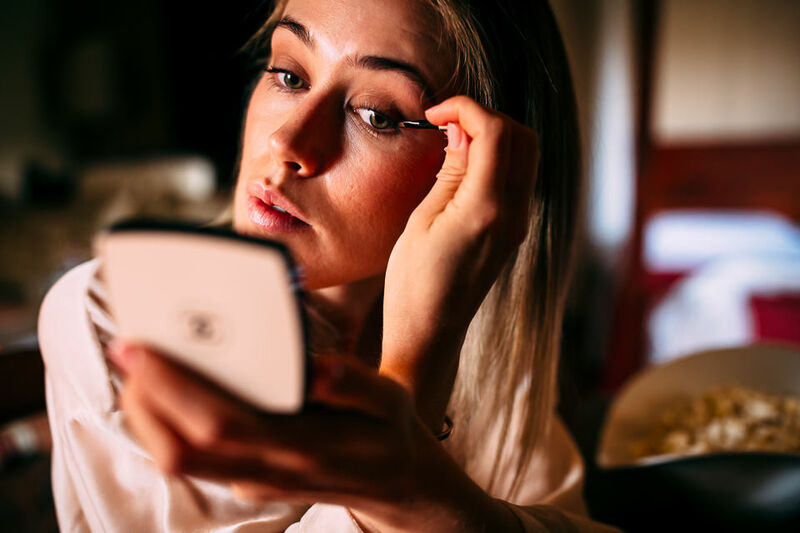 Annabel is a famous Norwegian influencer who has more than 95k followers on Instagram and she didn’t leave anything to chance. 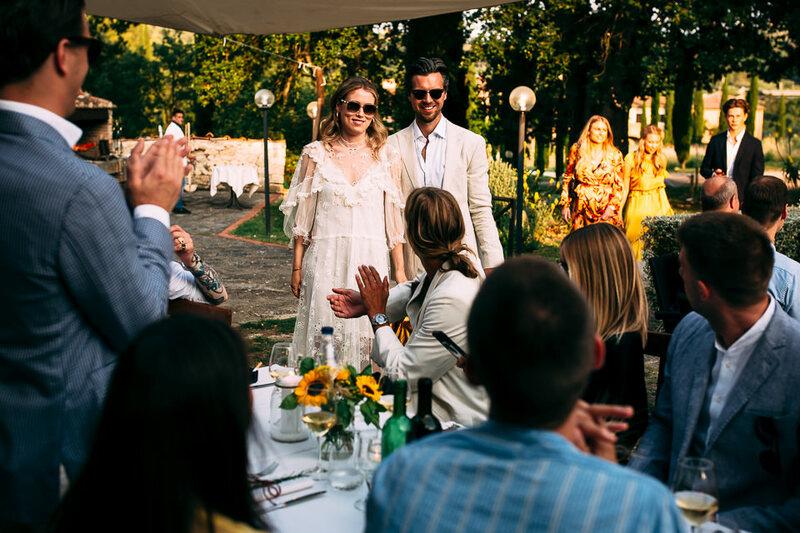 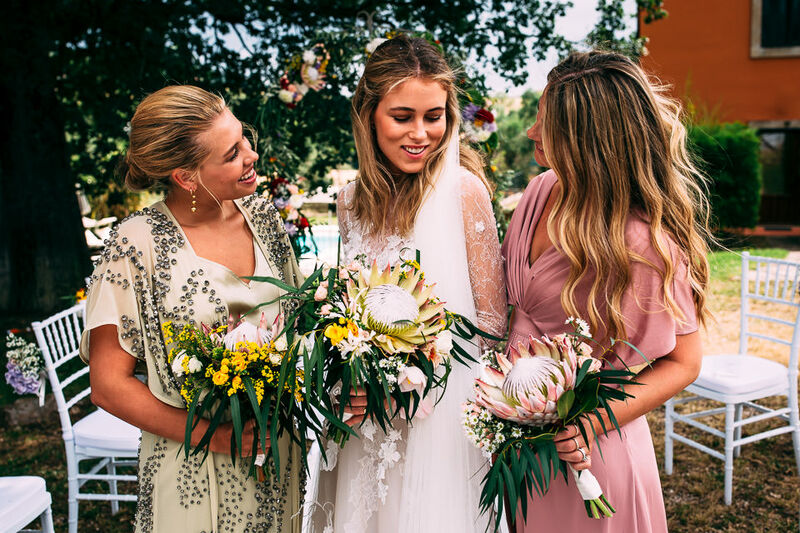 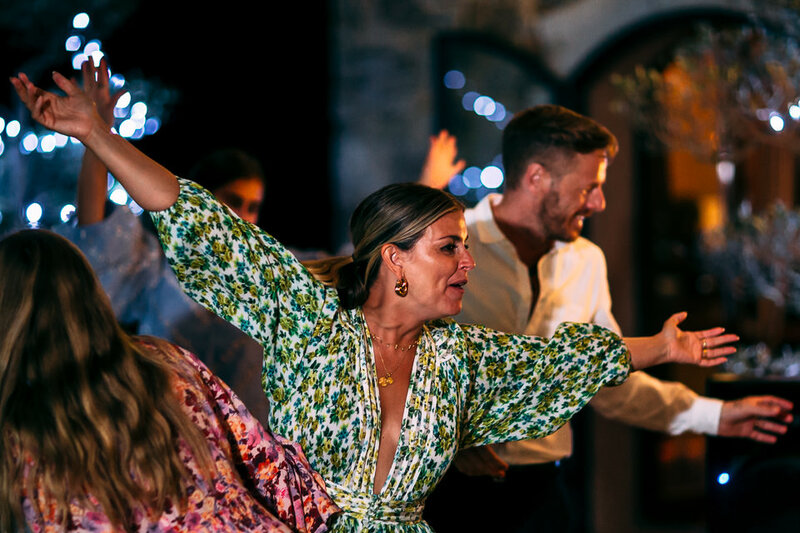 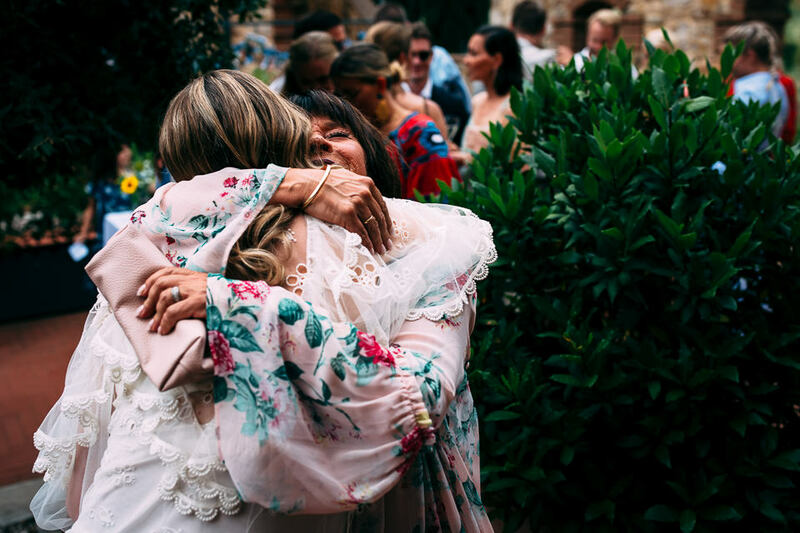 Combining the traditional, rustic Italian style with a hint of tropical taste, a great mix indeed, kind of a perfect, trendy wedding was set up, starring the love and emotions of the couple’s loved ones. 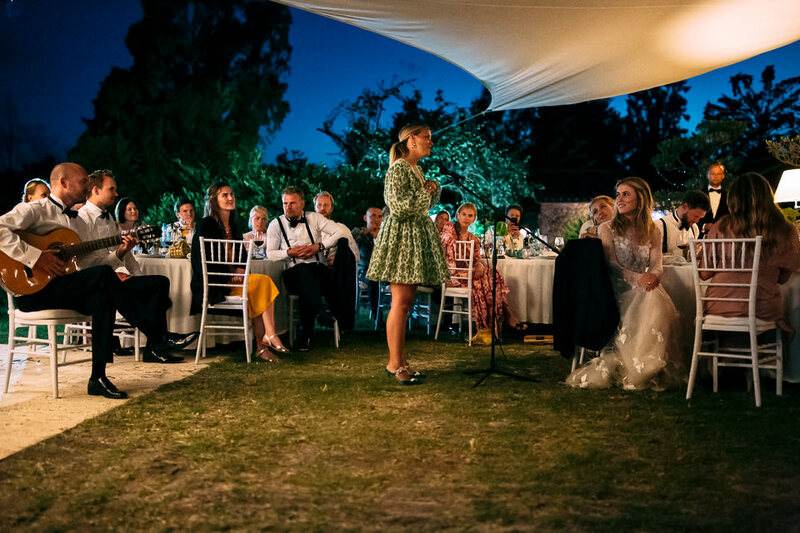 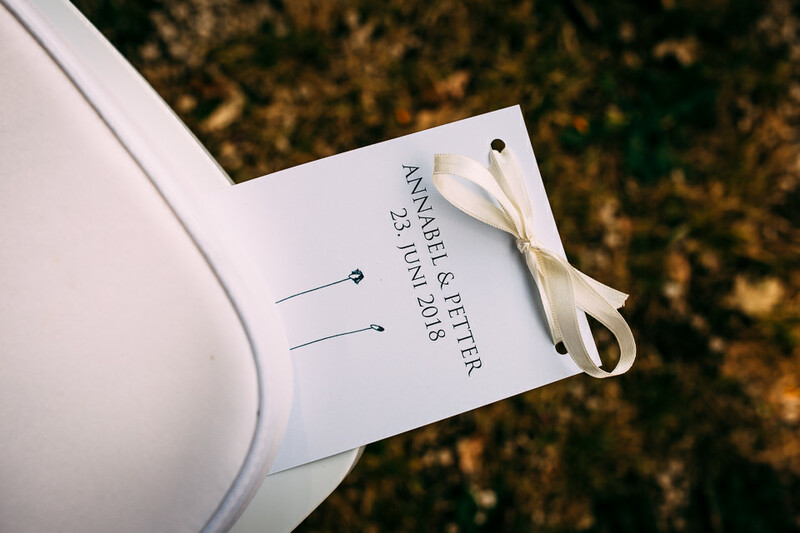 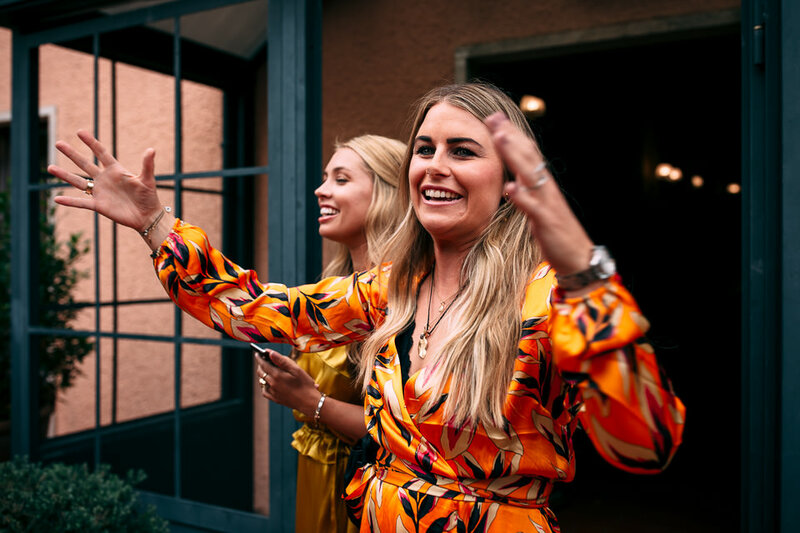 It was a honour to be part of such a special event: we have been contacted by Annabel and Petter through our website and we met personally on the wedding day. 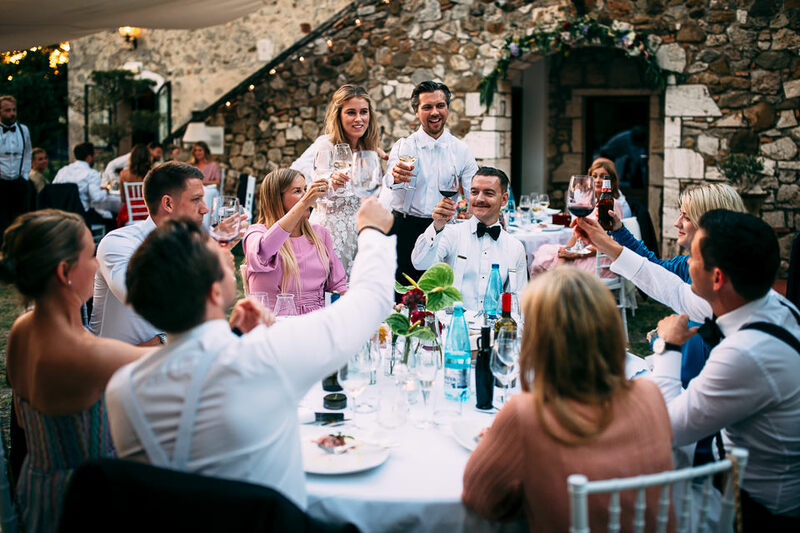 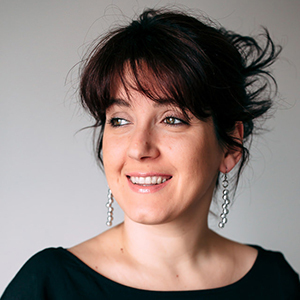 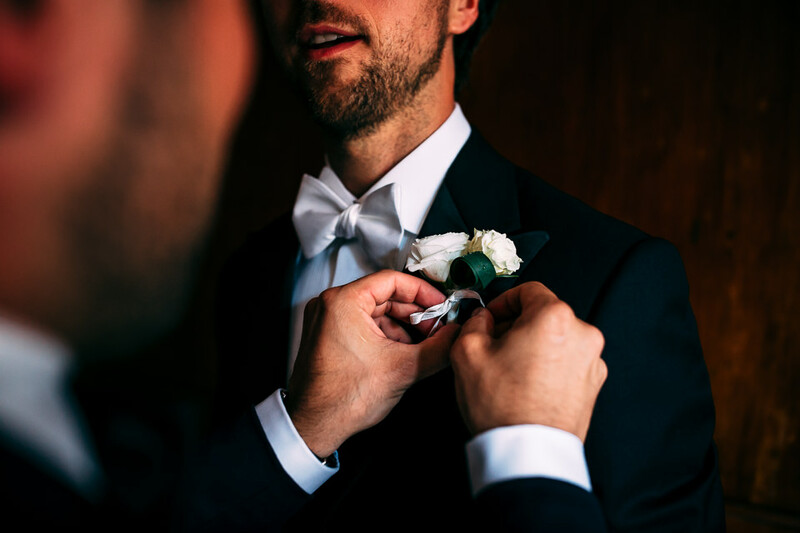 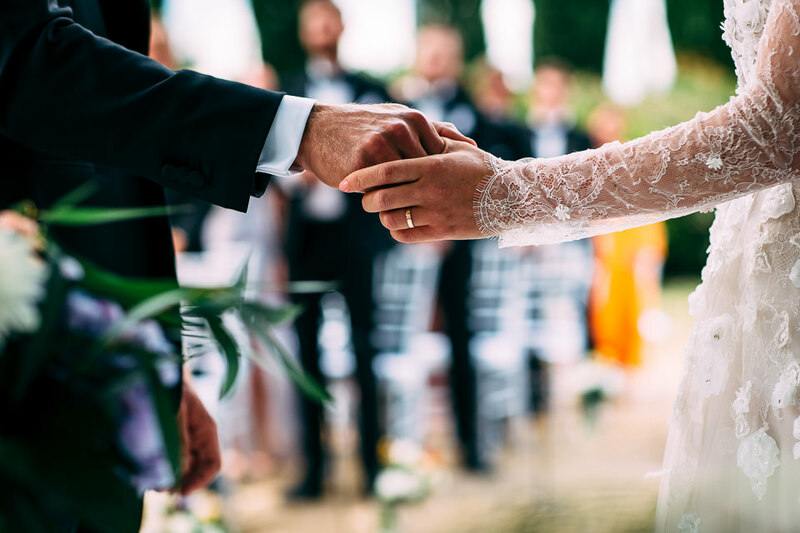 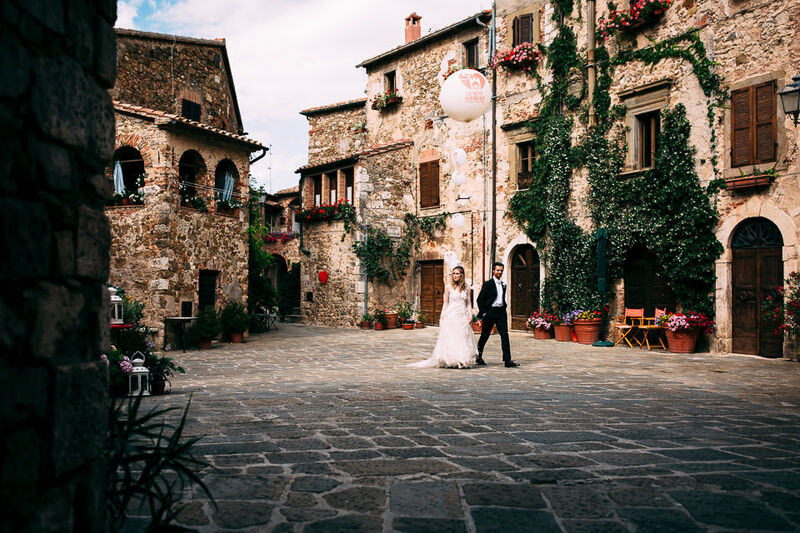 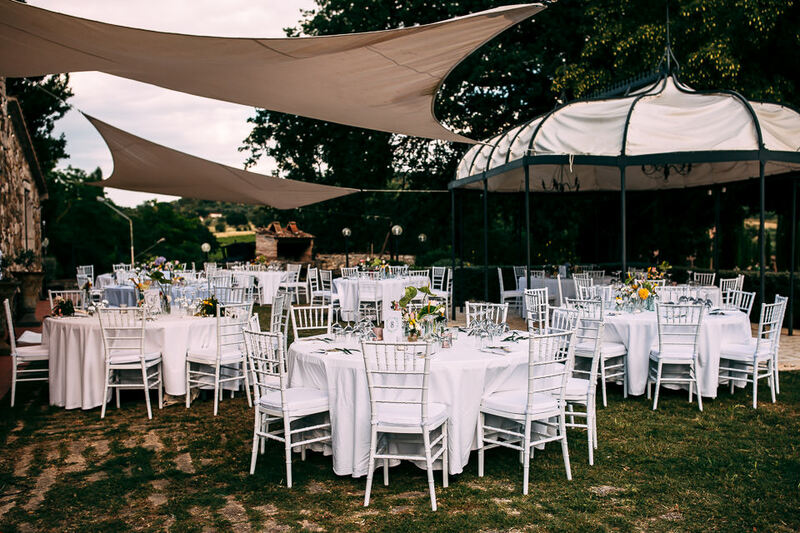 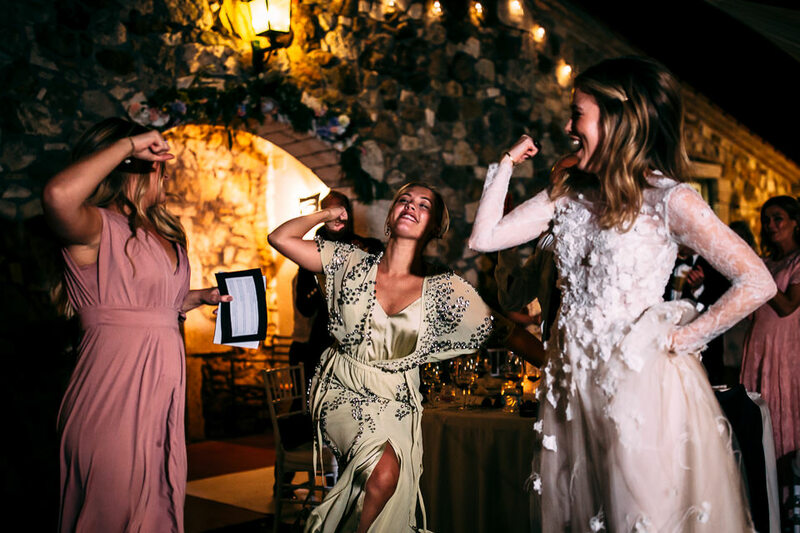 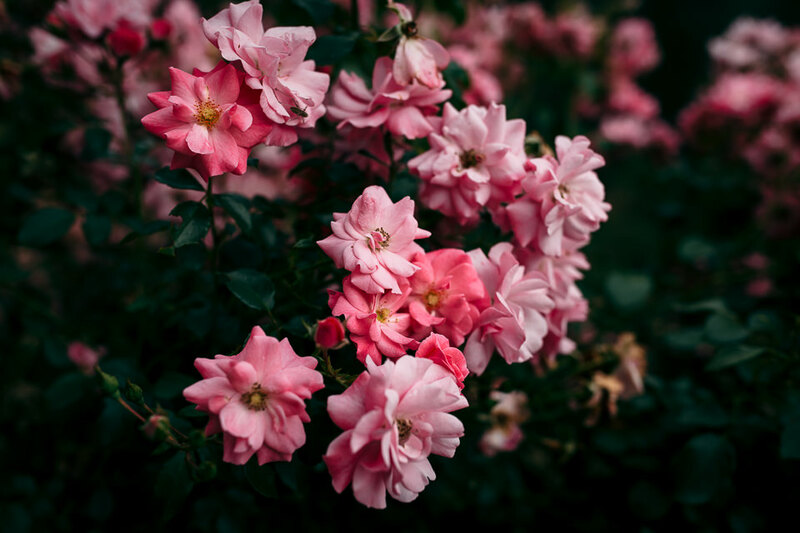 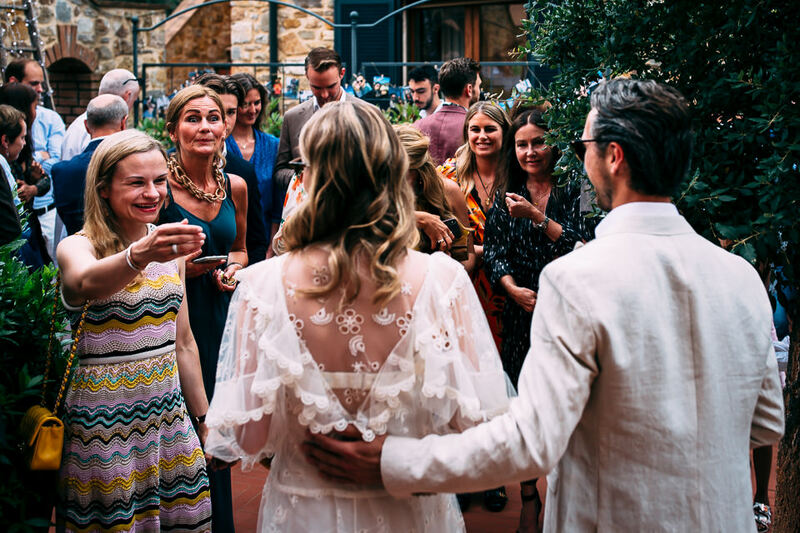 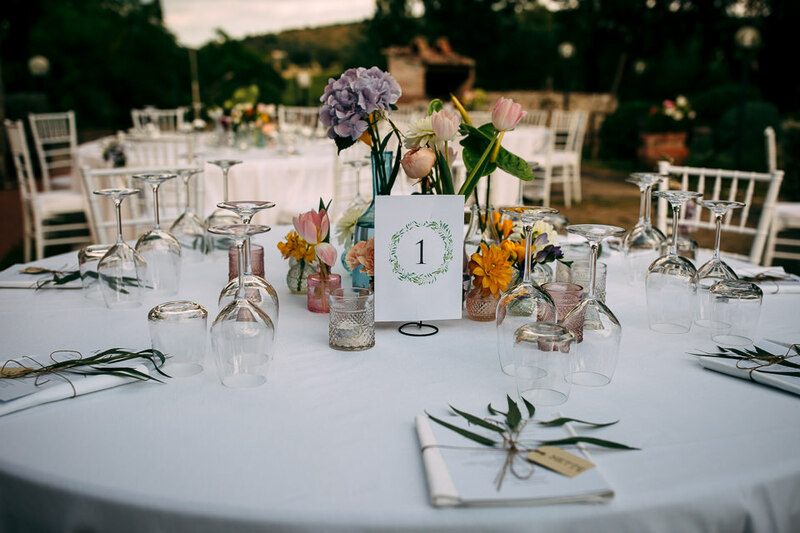 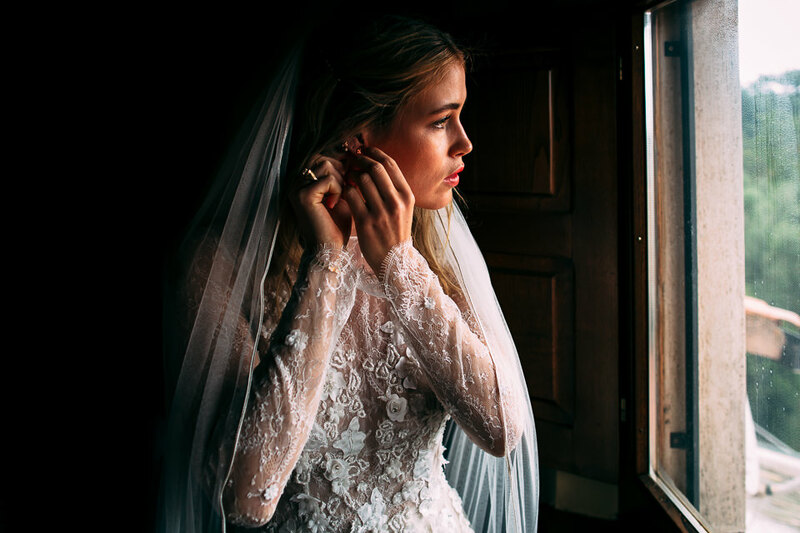 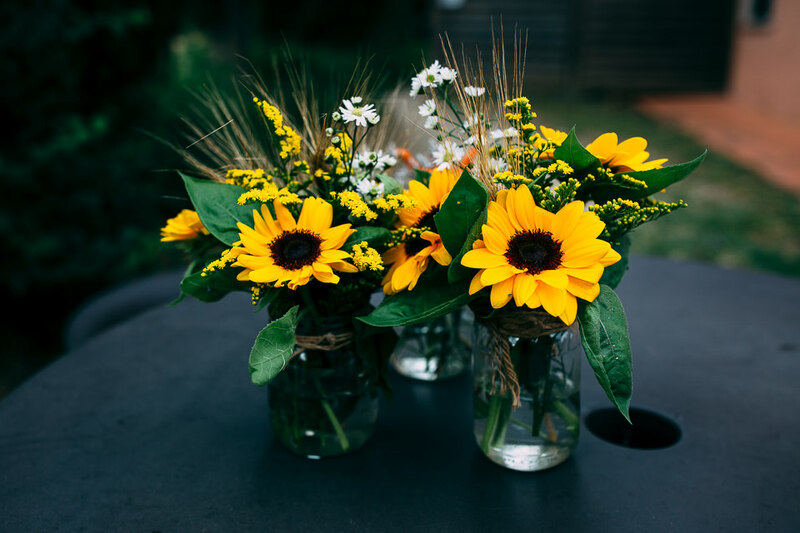 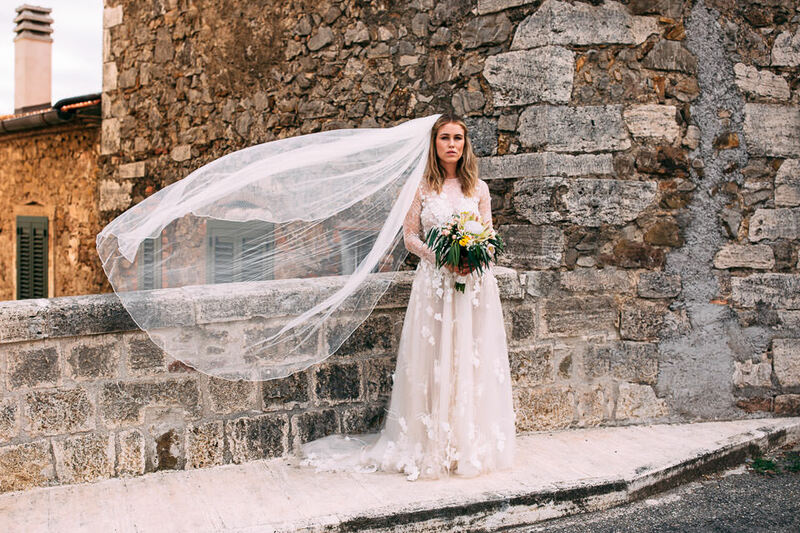 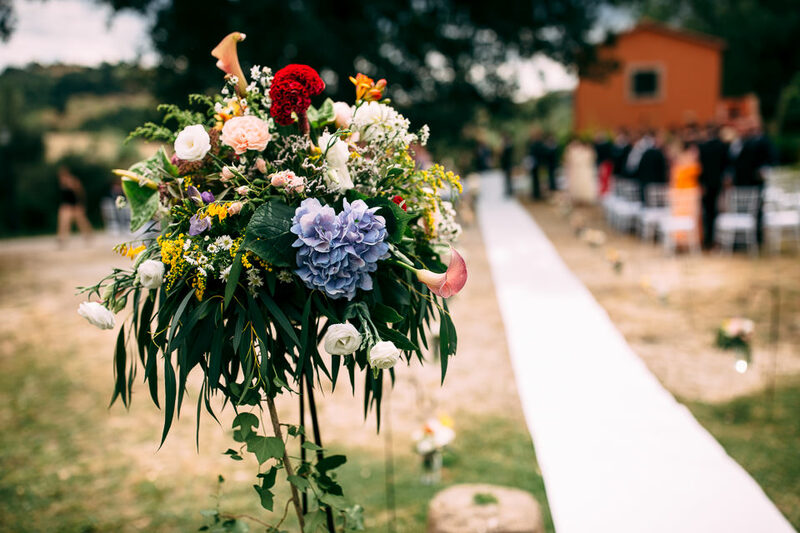 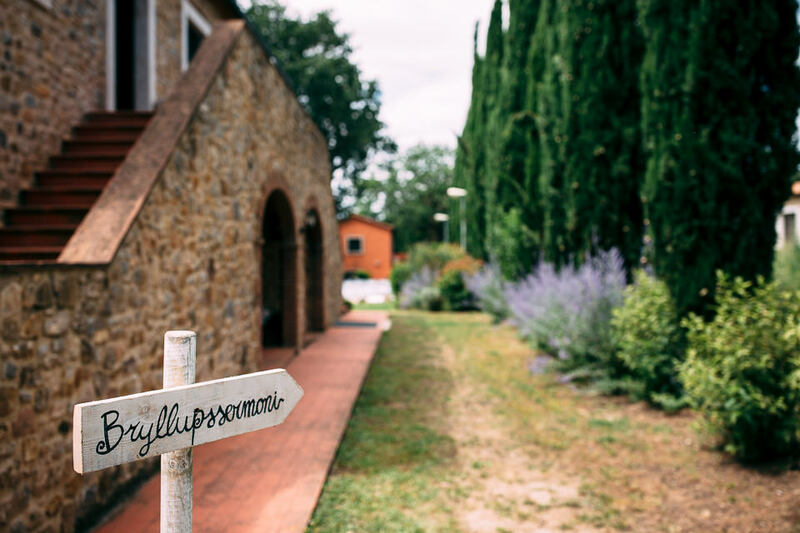 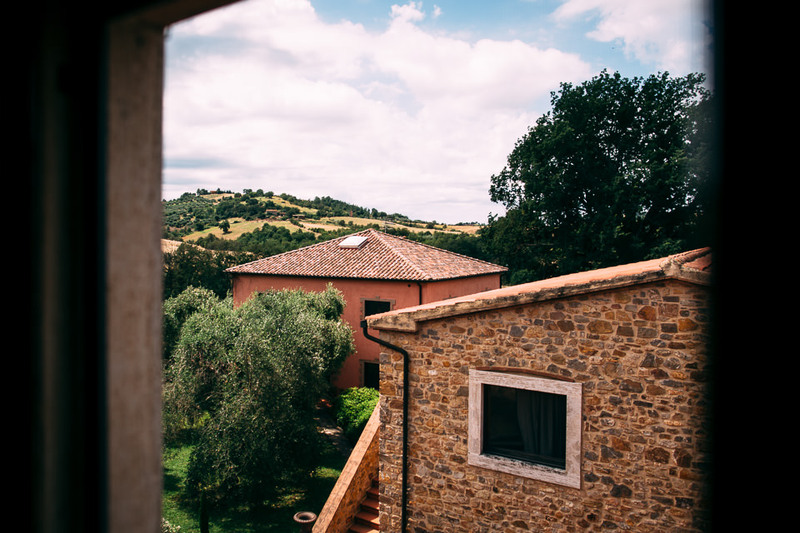 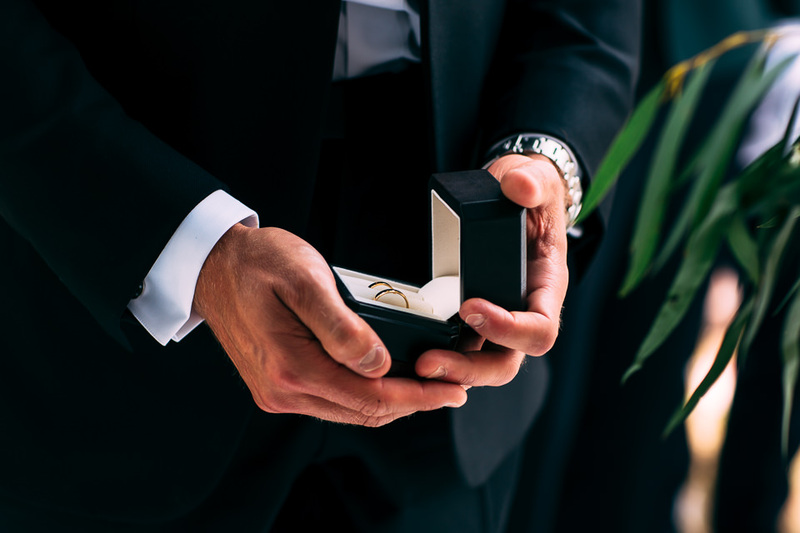 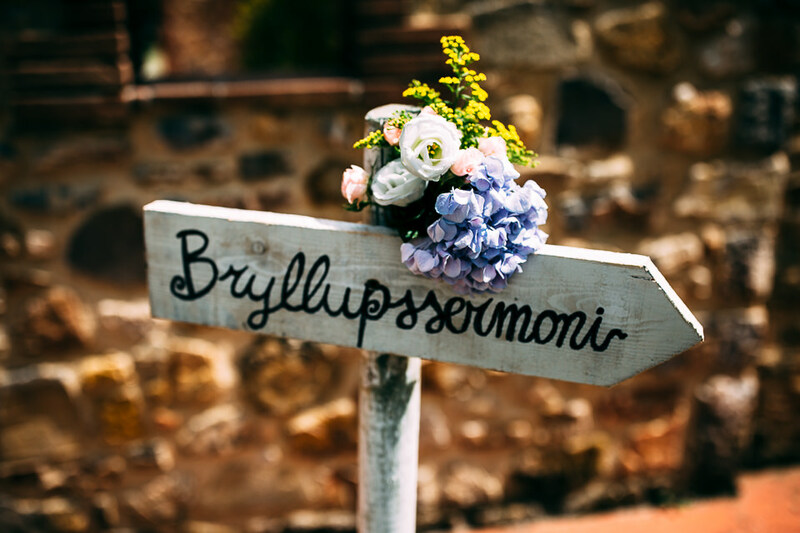 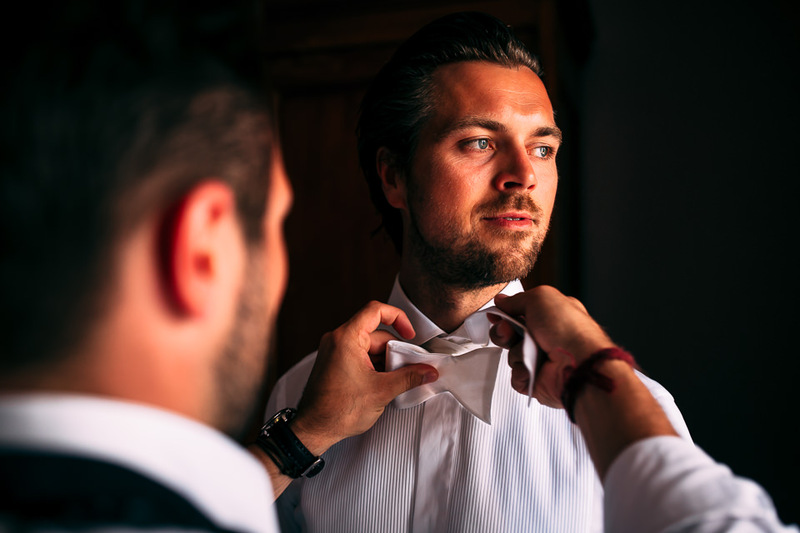 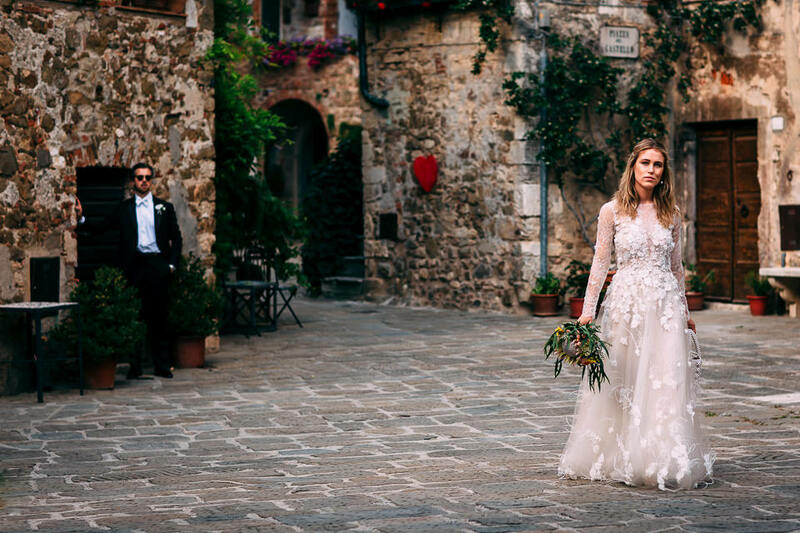 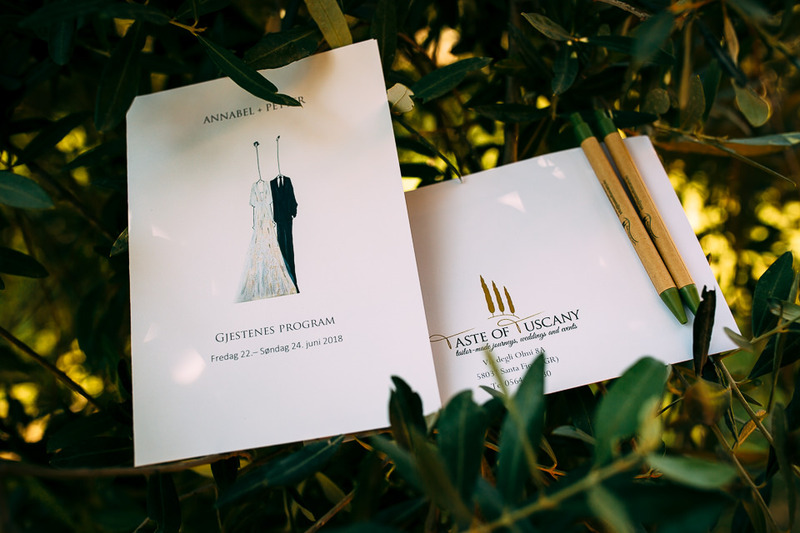 As soon as we had arrived at Relais Ciavatta, we coordinated with the My Taste of Tuscany Wedding Planners, to set out all the details concerning the two days of celebrations. 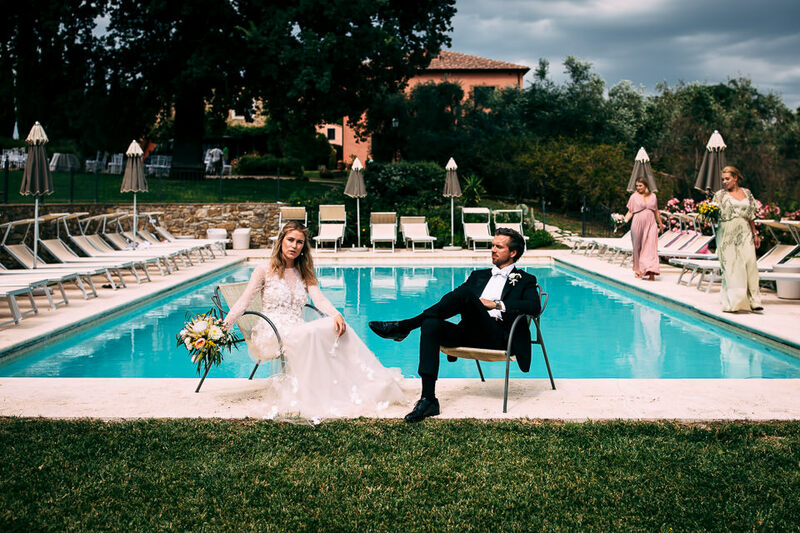 We had a first photo session with the couple by the pool, and soon everyone was ready fo the Pre Wedding Dinner, organized to spend some time with their loved ones on the day before the ceremony. 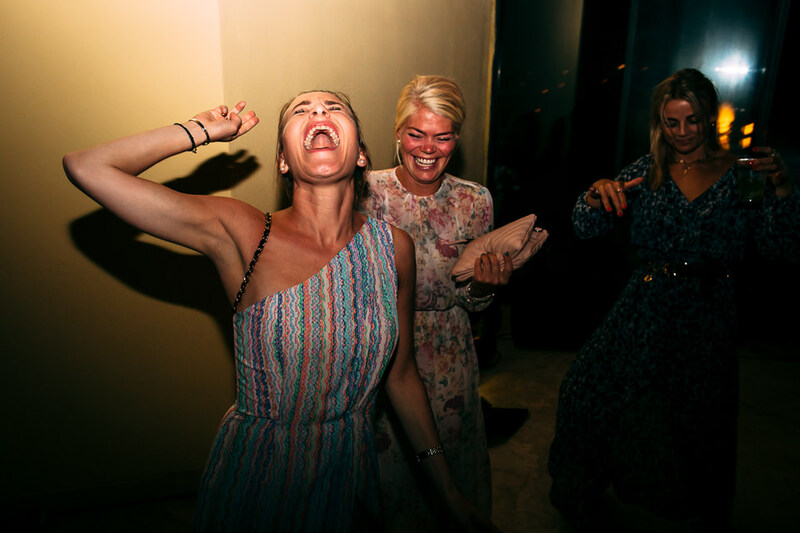 The wedding weekend then started: celebrations, laughters, dances, delicious food and drinks, waiting for the day to come. 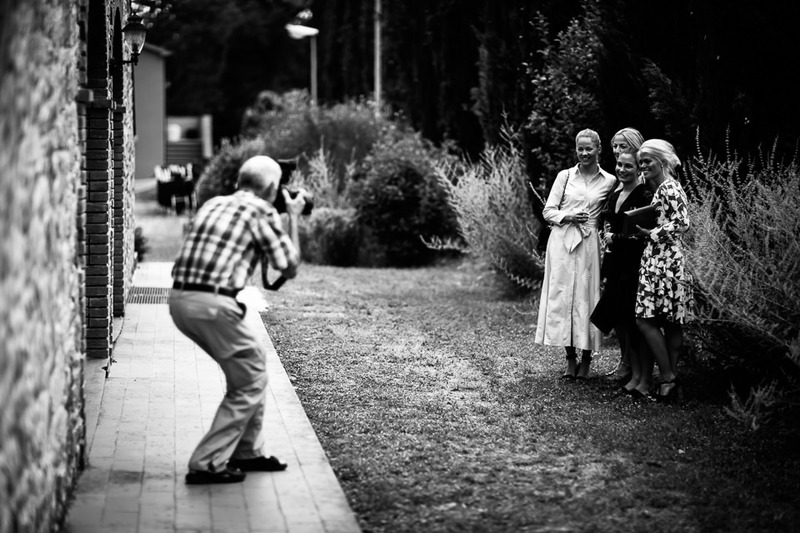 On the wedding day we started with a photo sessions with the bride and the bridesmaids, all of them gorgeous and incredibly elegant. 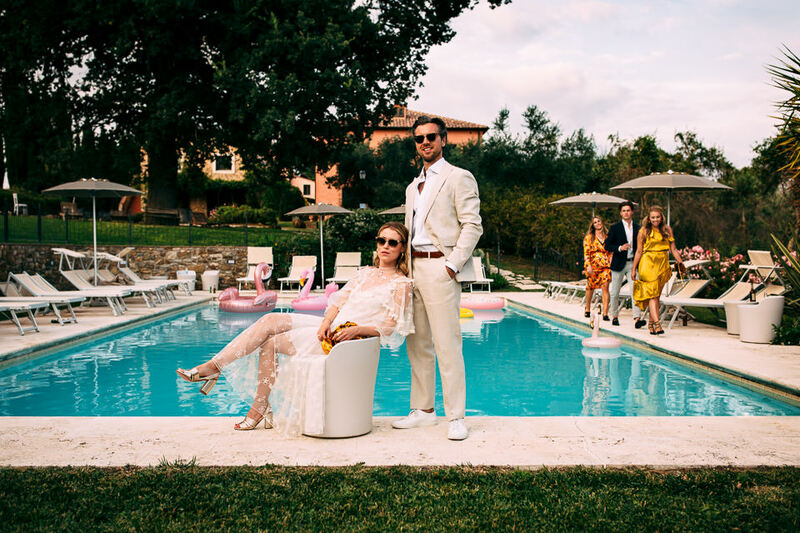 The photo session was set by the pool, with the pink flamingo as co-protagonist. 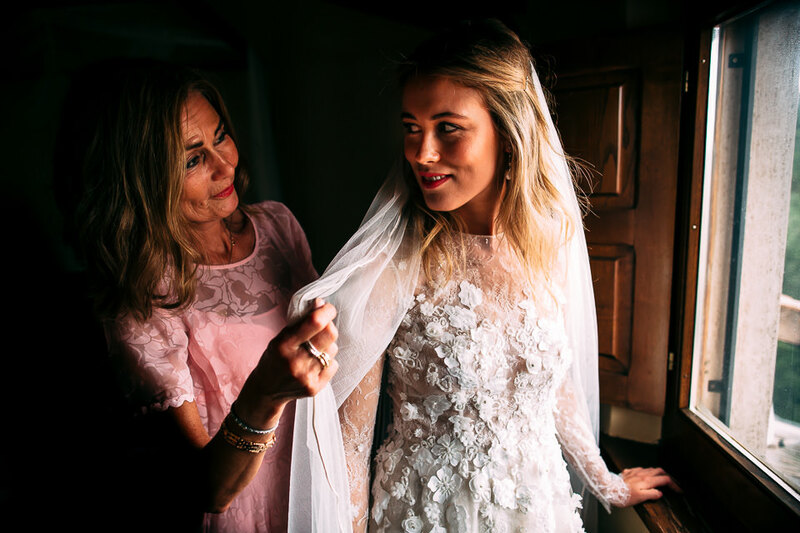 Soon the time to get ready came for Annabel: time to wear the beautiful and romantic lace dress of Otilia Brailoiu Atelier (Paris). 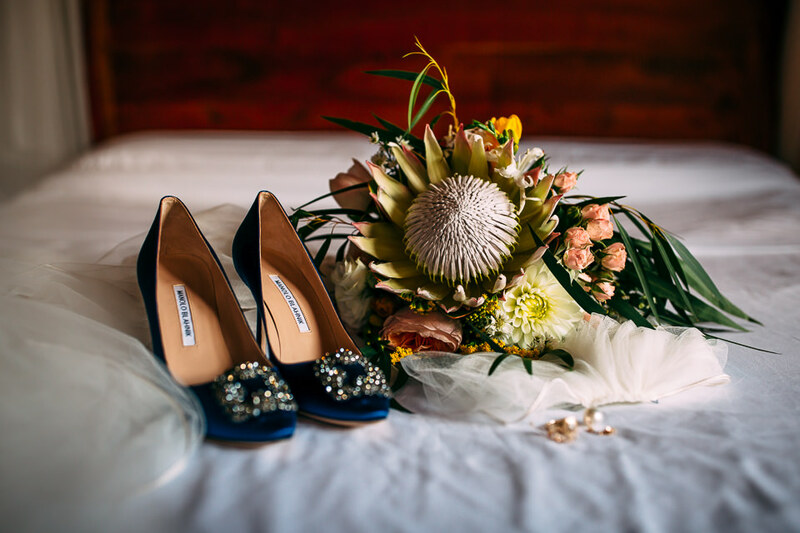 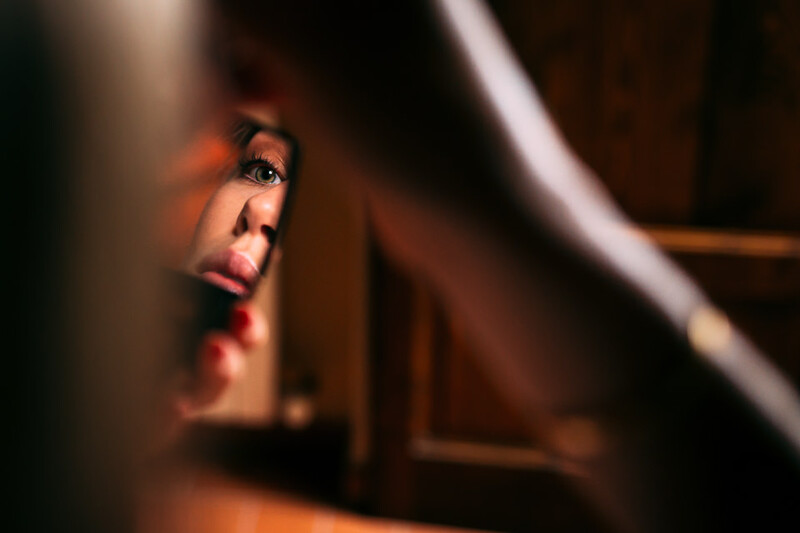 Annabel did her make up and hairstyle and finally wore a pair of bright blue Manolo Blank, the same ones chosen by Carrie Bradshow when she got married to Mr Big. 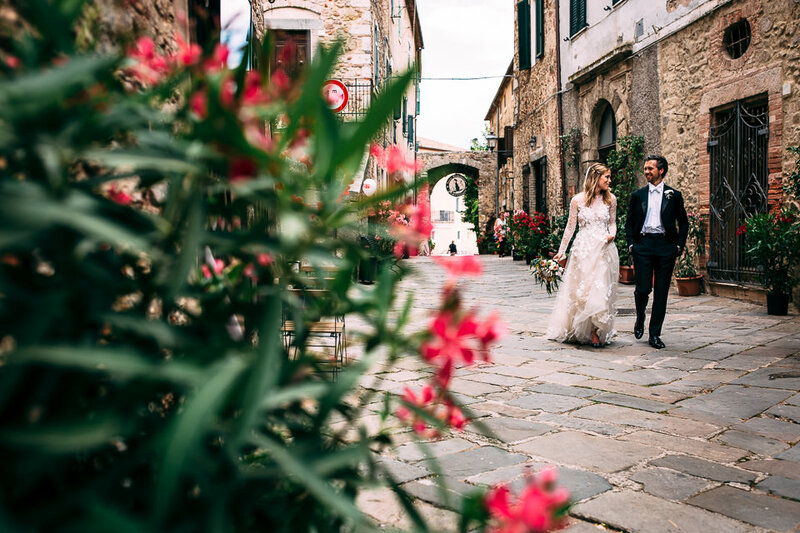 After having said “I do”, we had another photo session with Annabel and Petter, by the pool first and in the village of Montemerano afterwards. 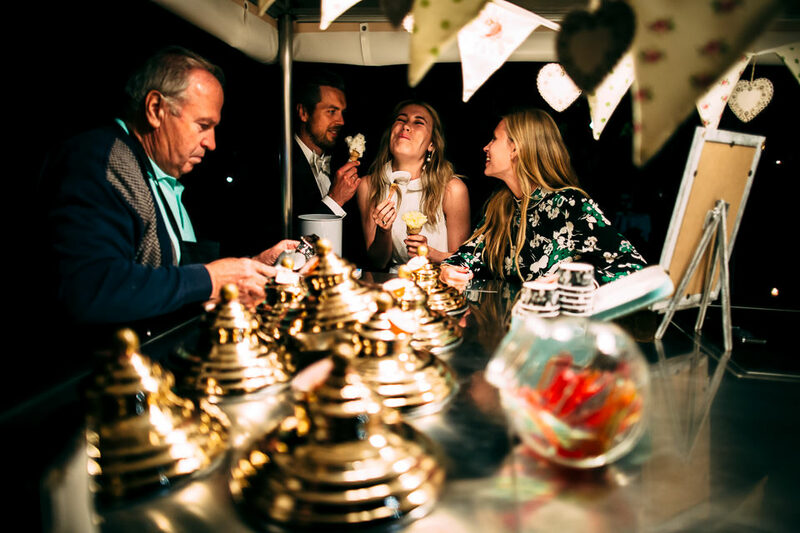 We want to highlight a peculiar and pleasant feature that was very much appreciated by all the guests: the vintage ice cream cart, unexpected but absolutely cool!